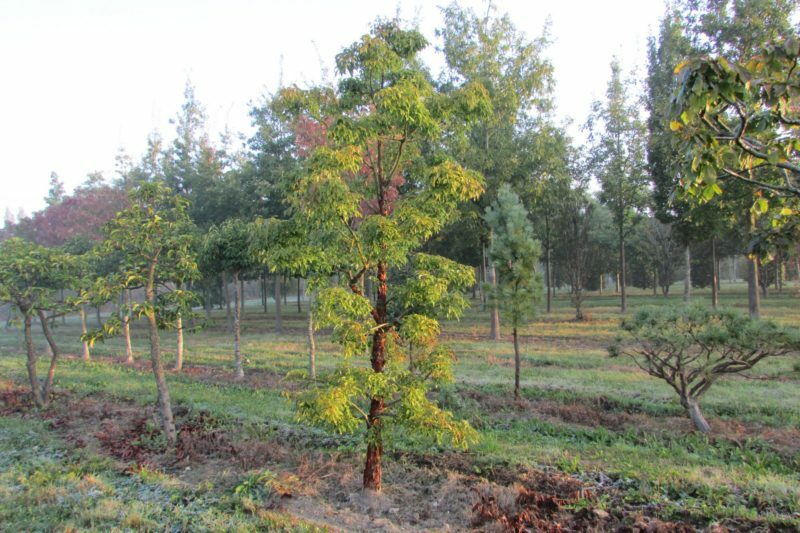 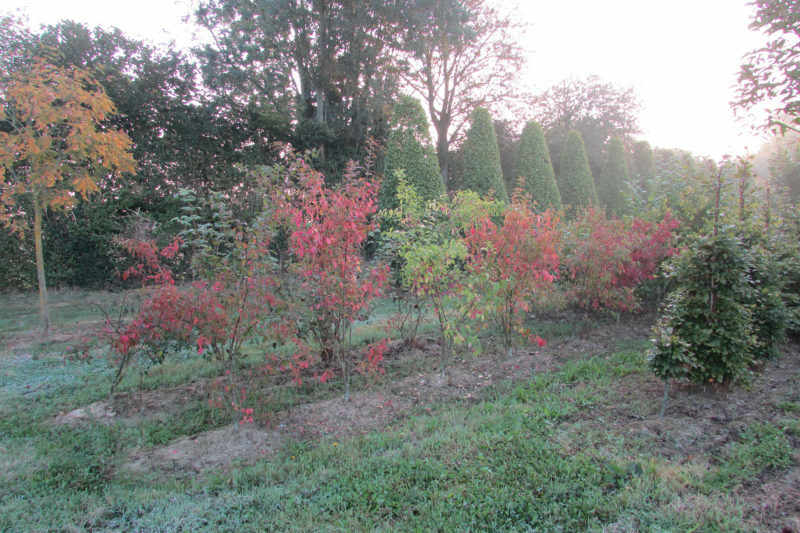 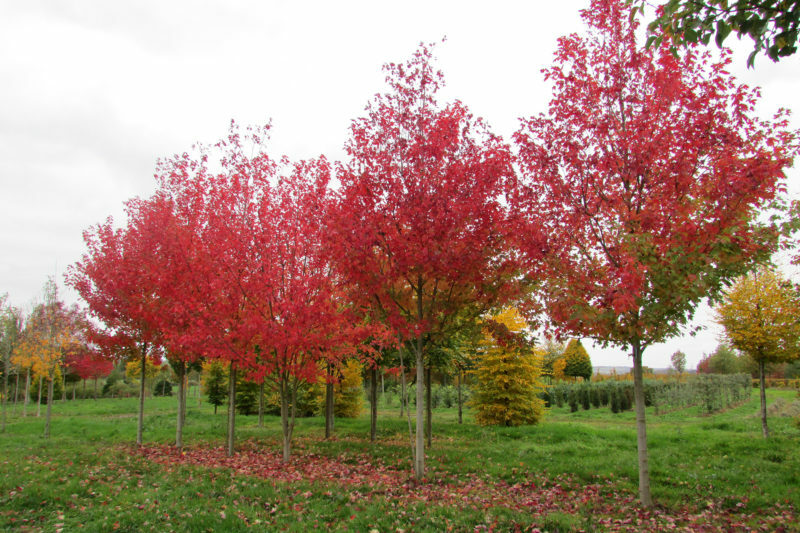 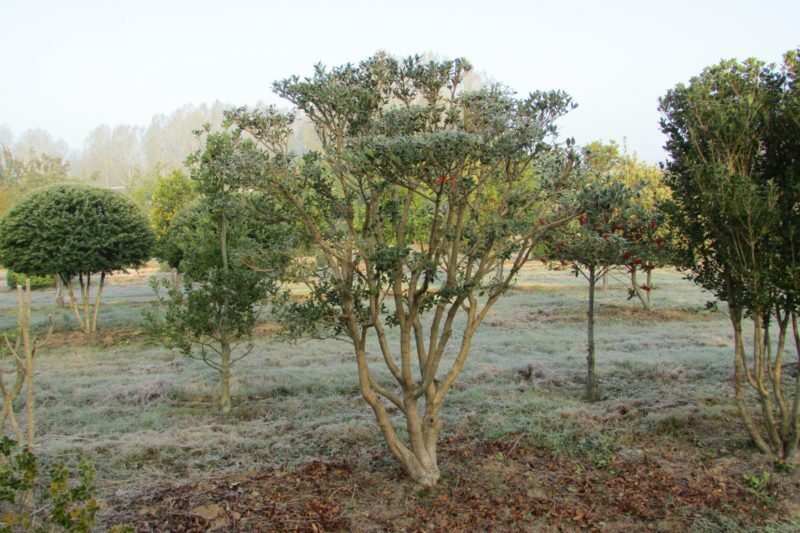 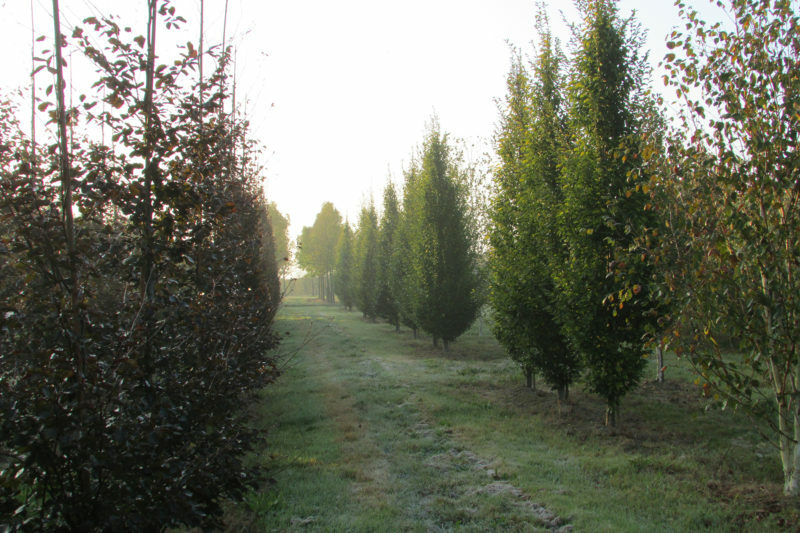 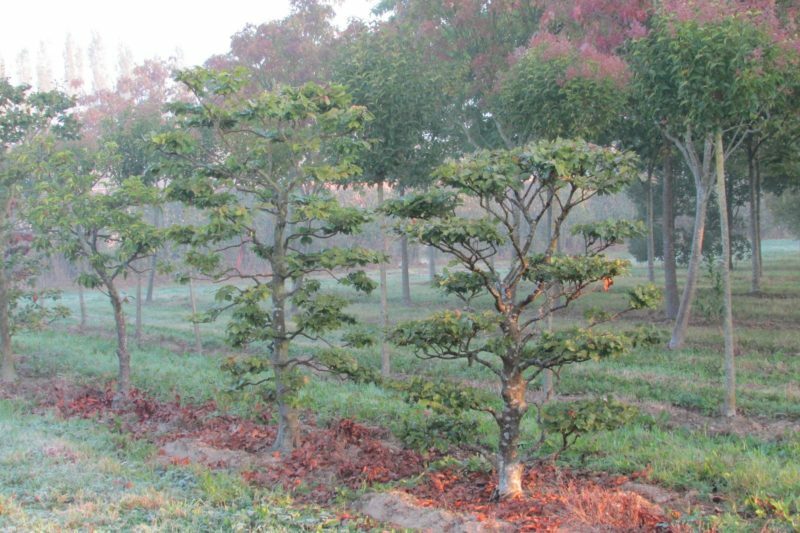 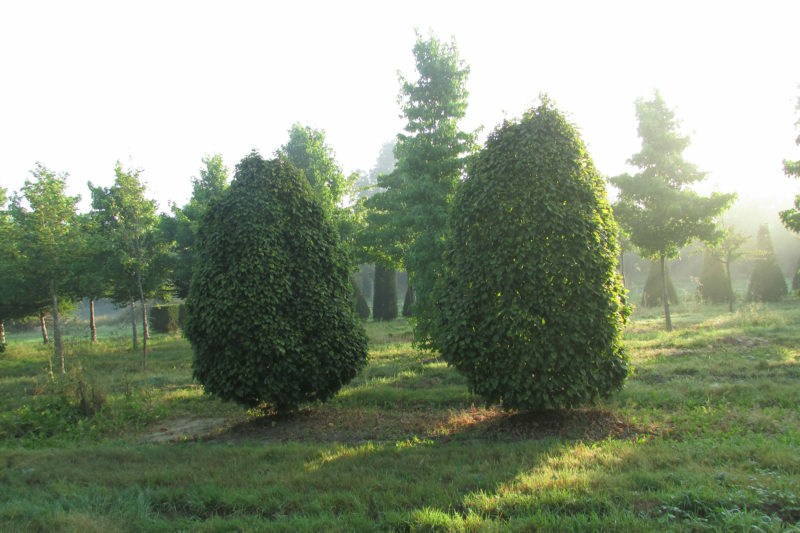 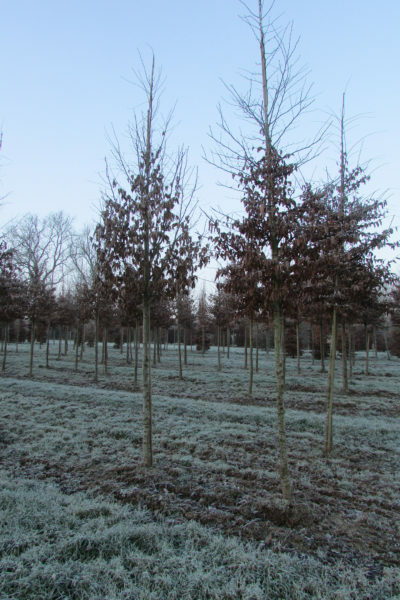 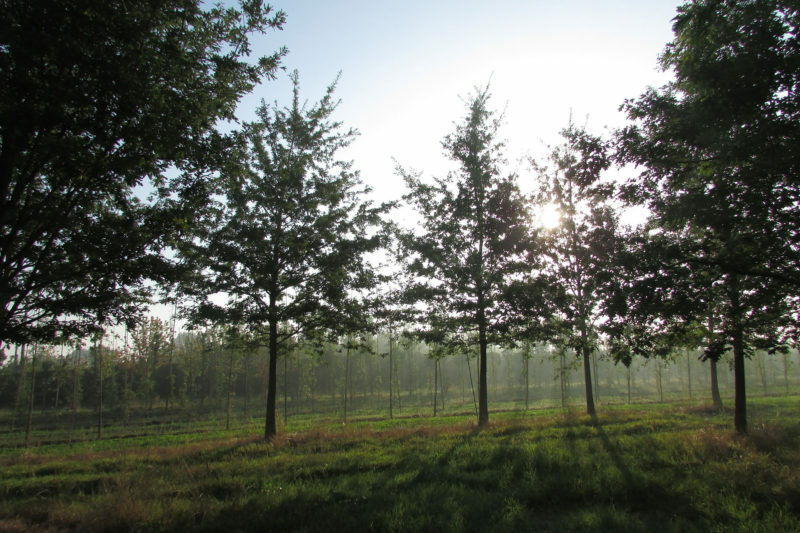 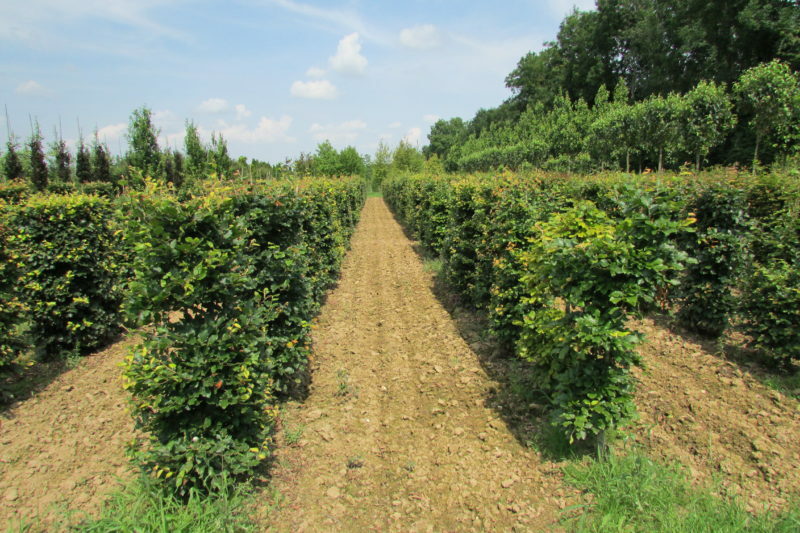 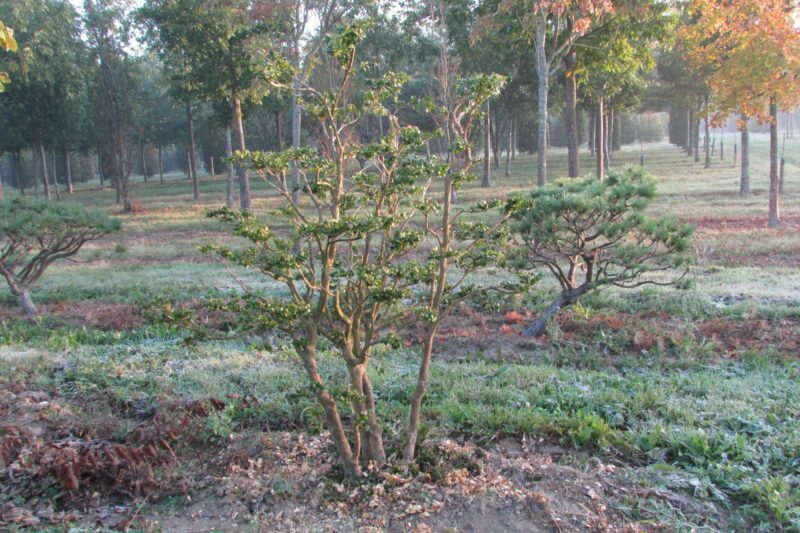 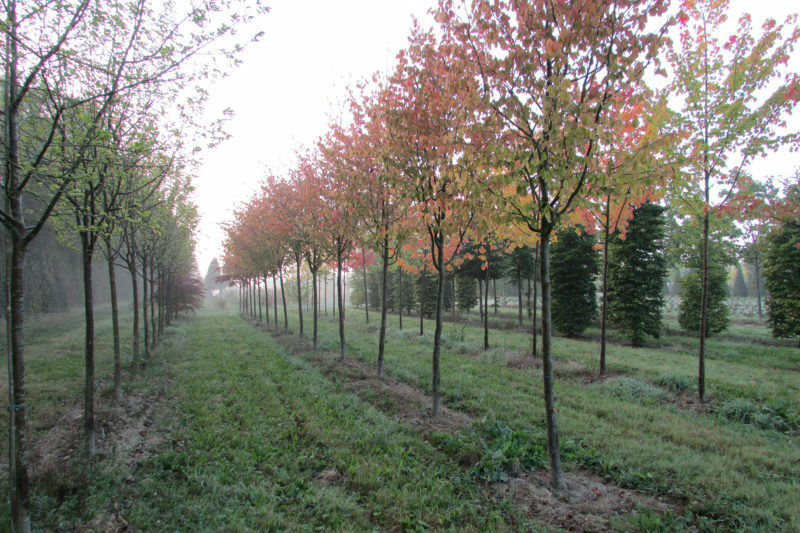 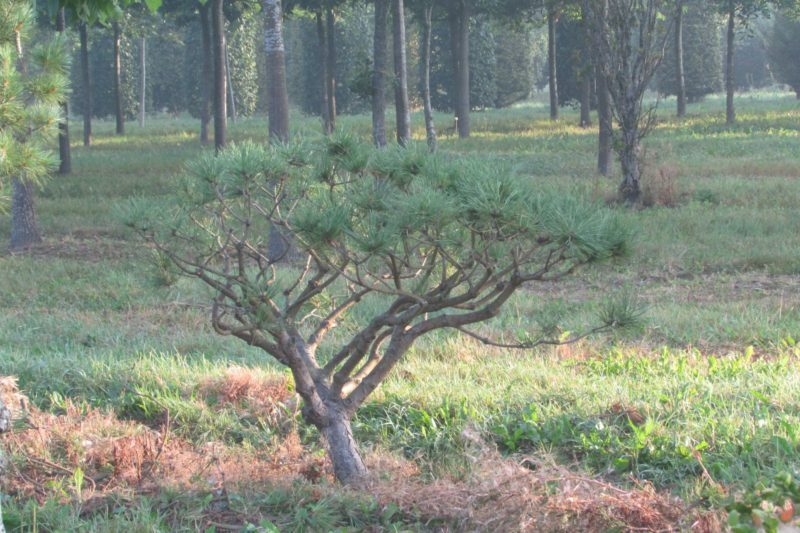 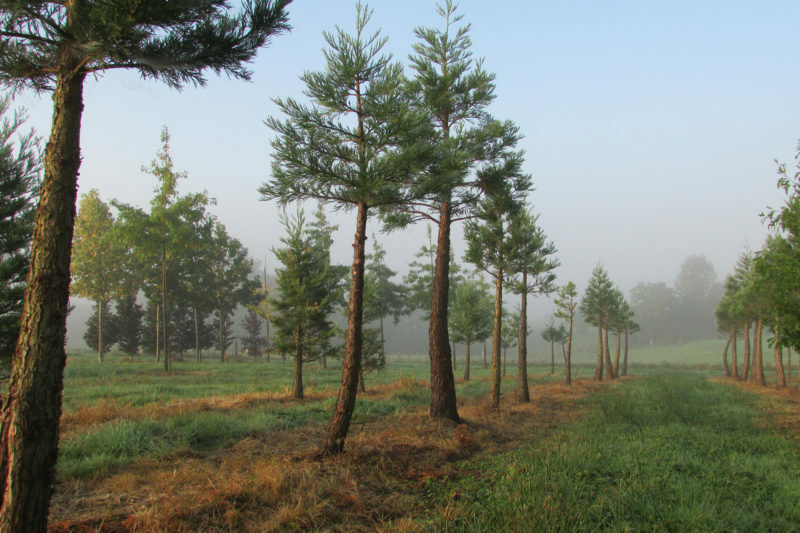 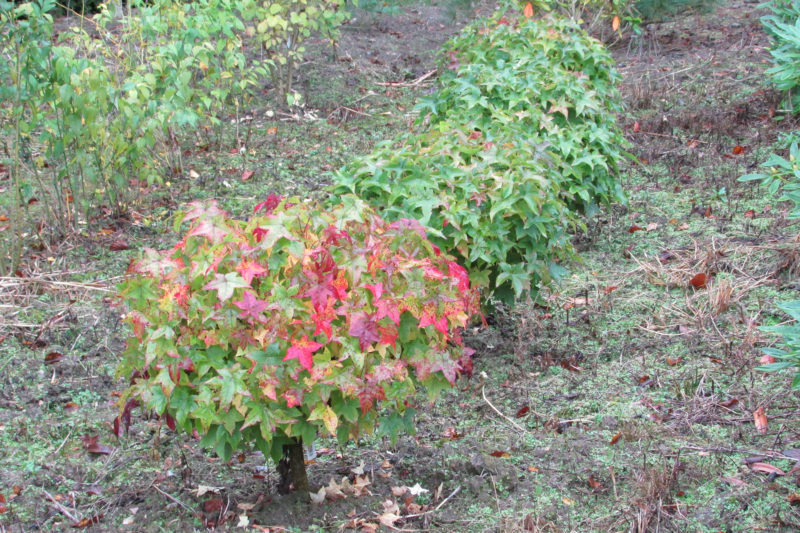 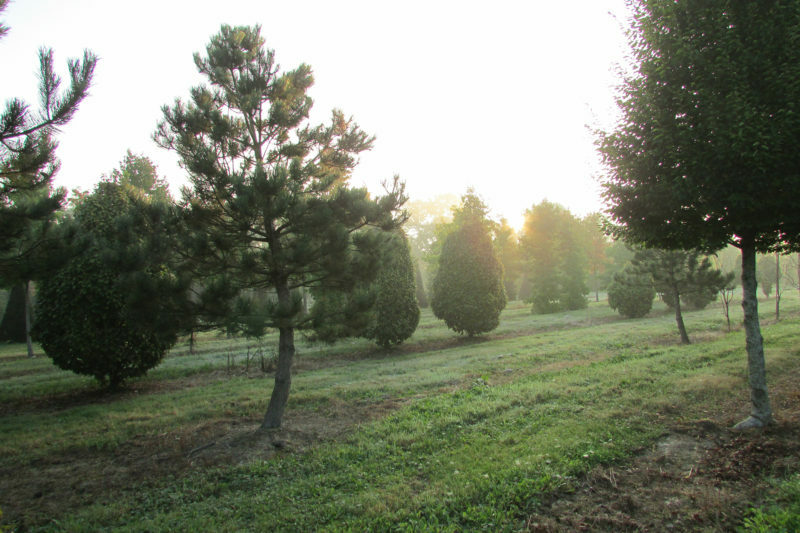 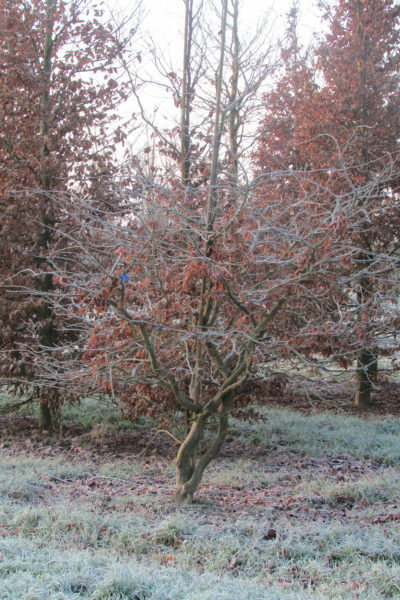 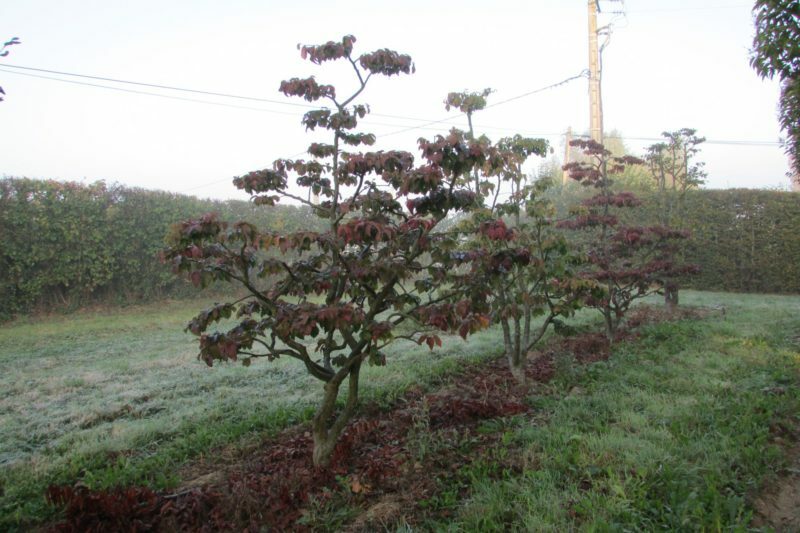 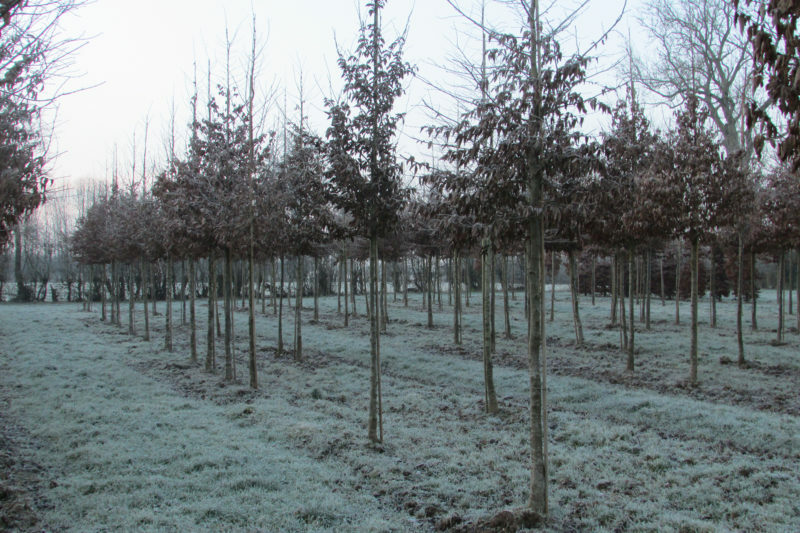 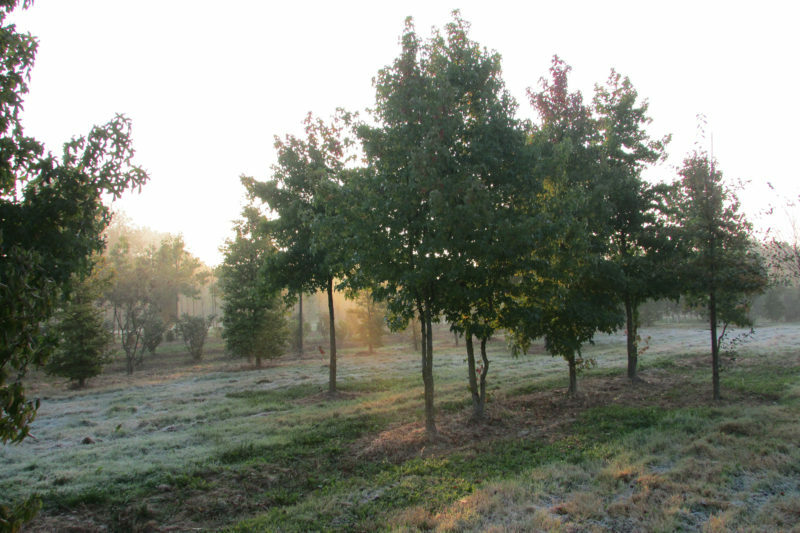 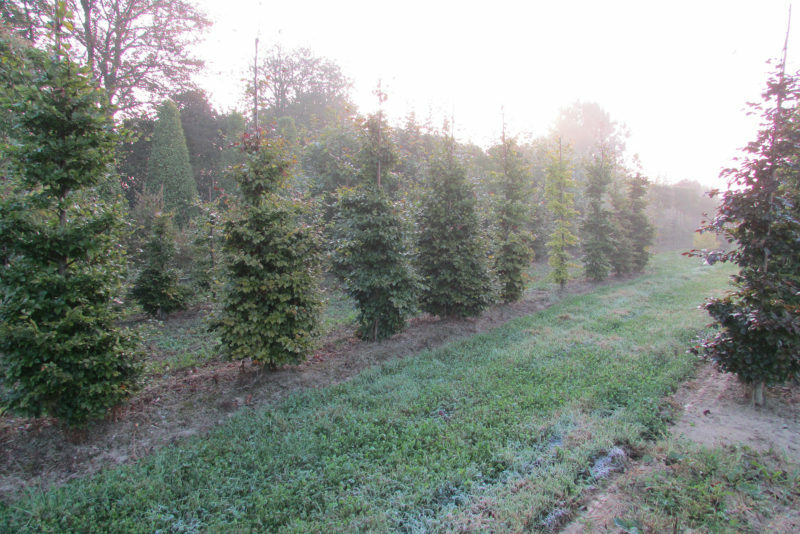 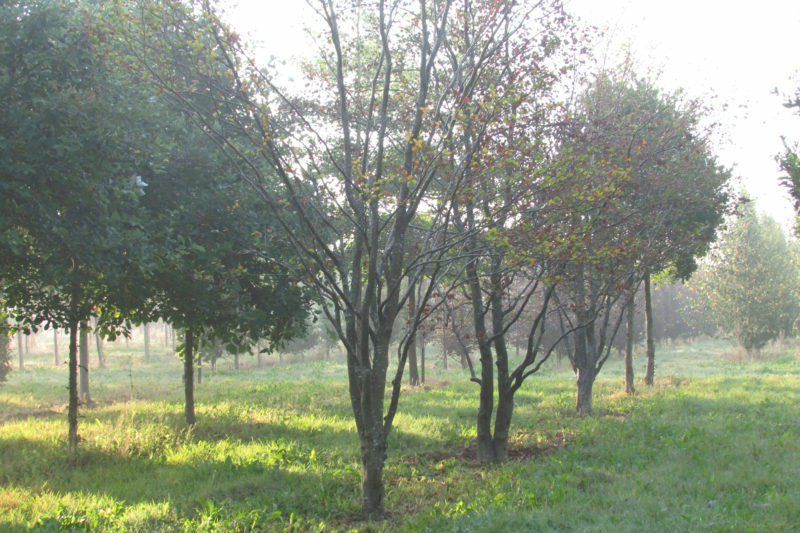 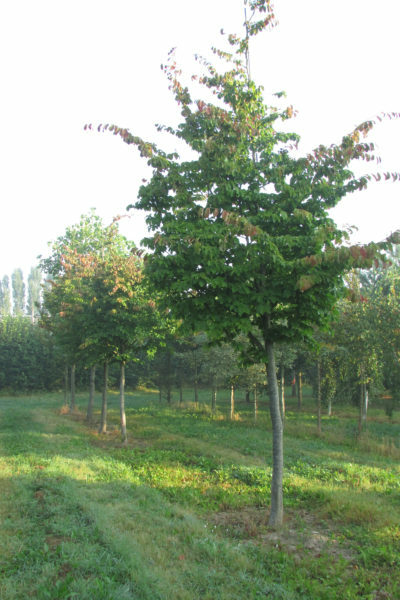 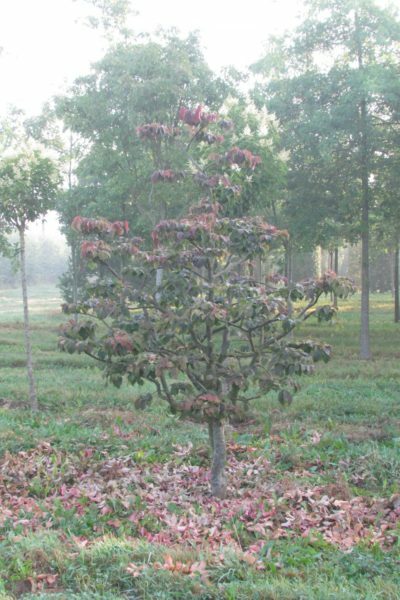 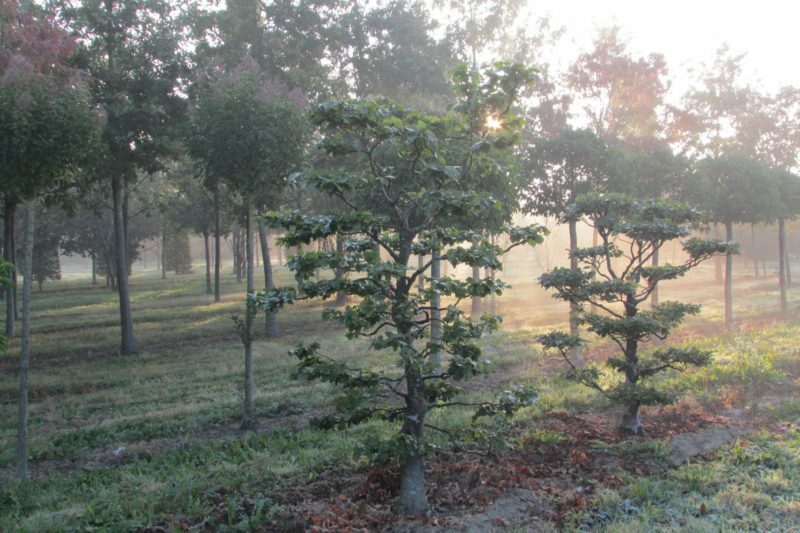 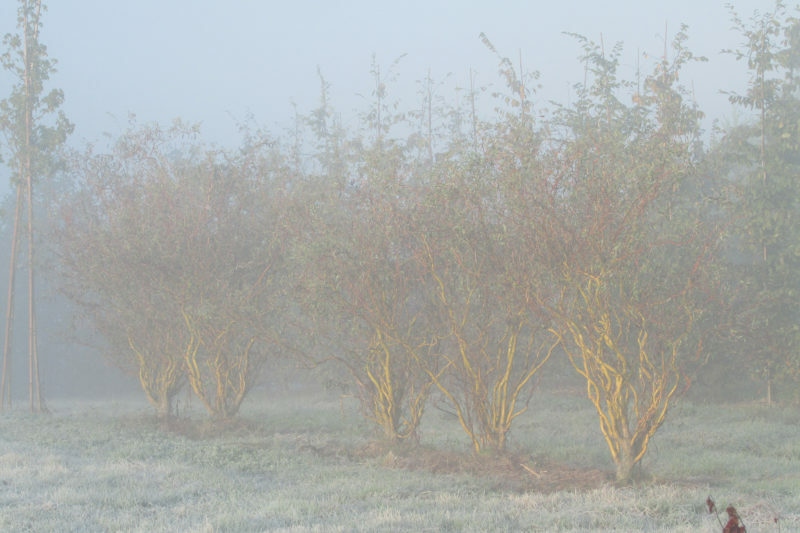 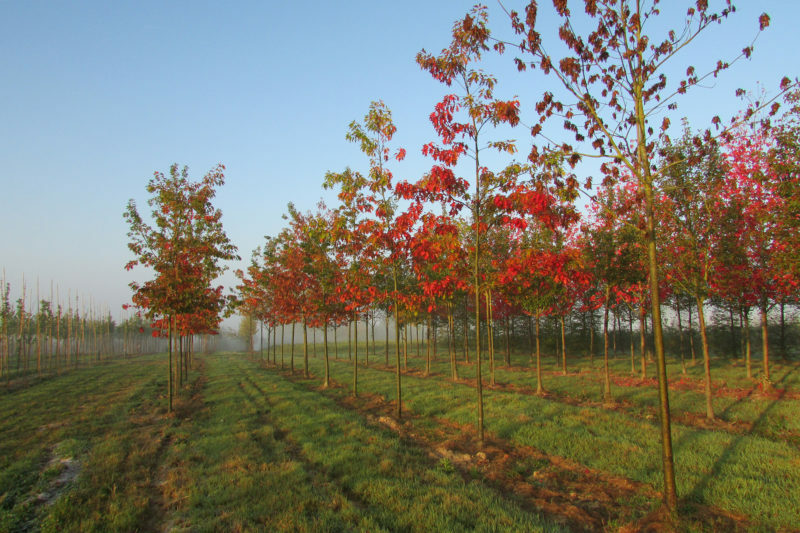 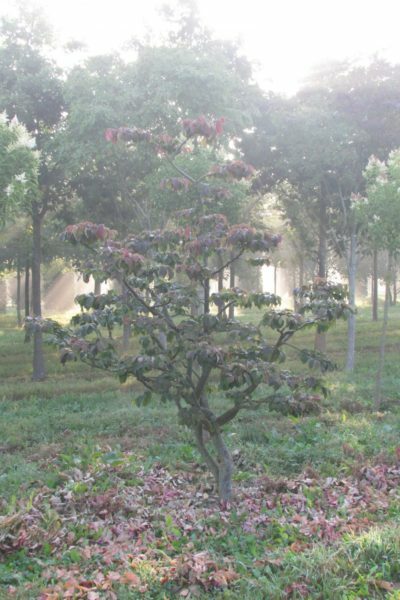 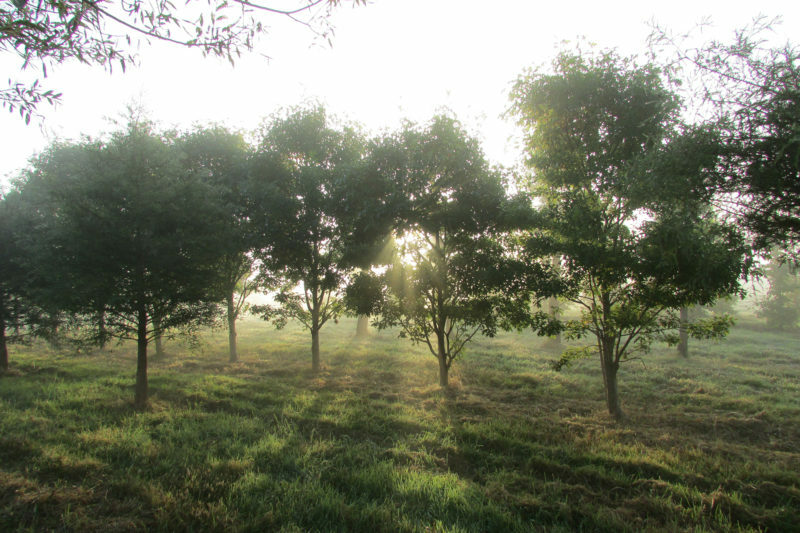 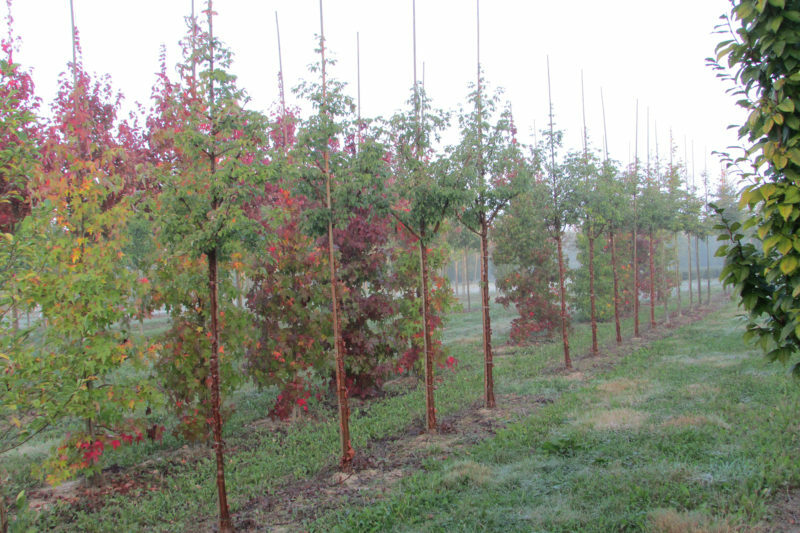 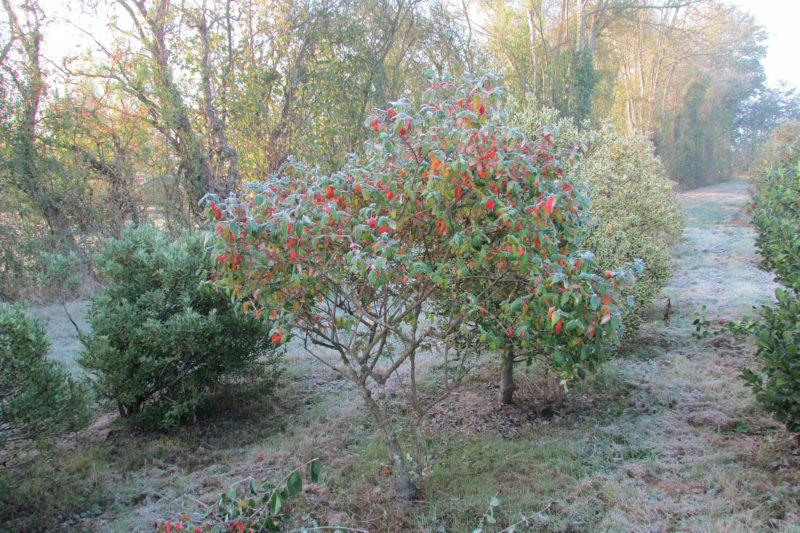 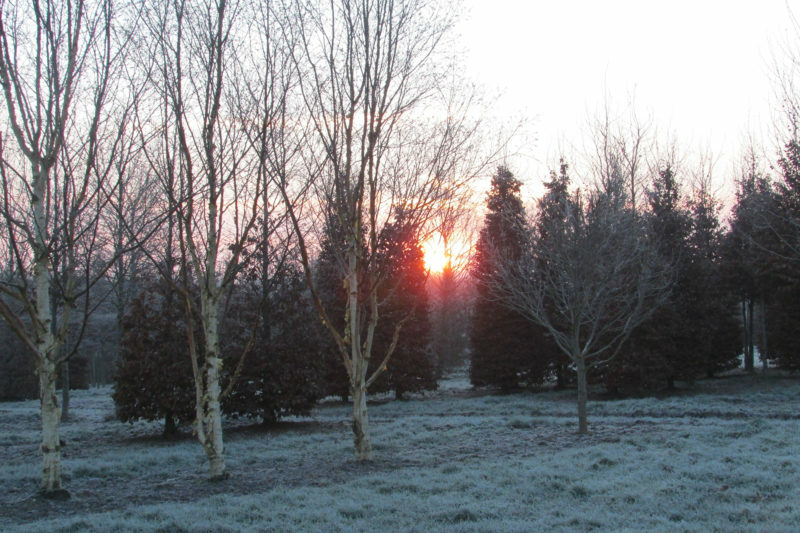 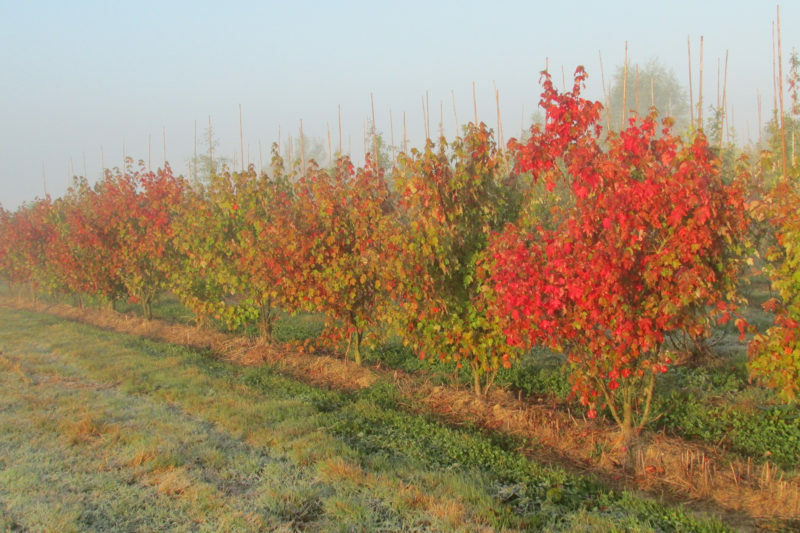 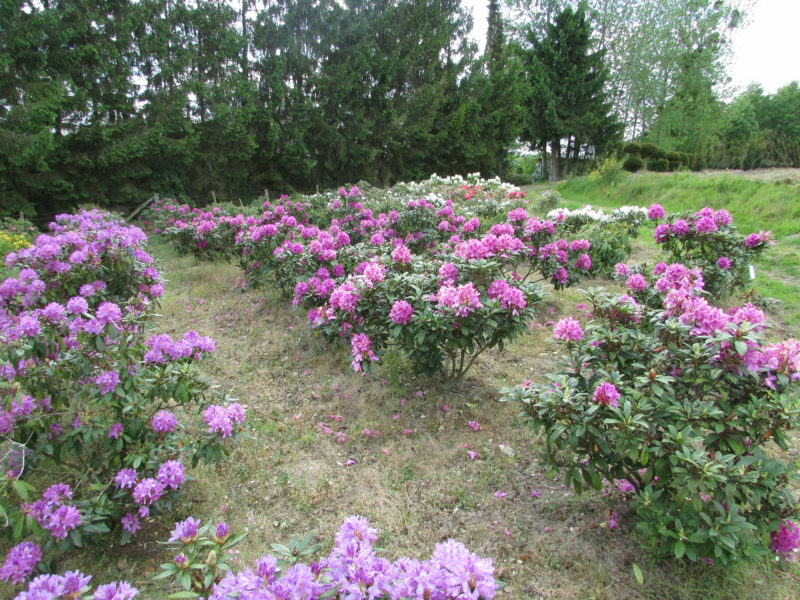 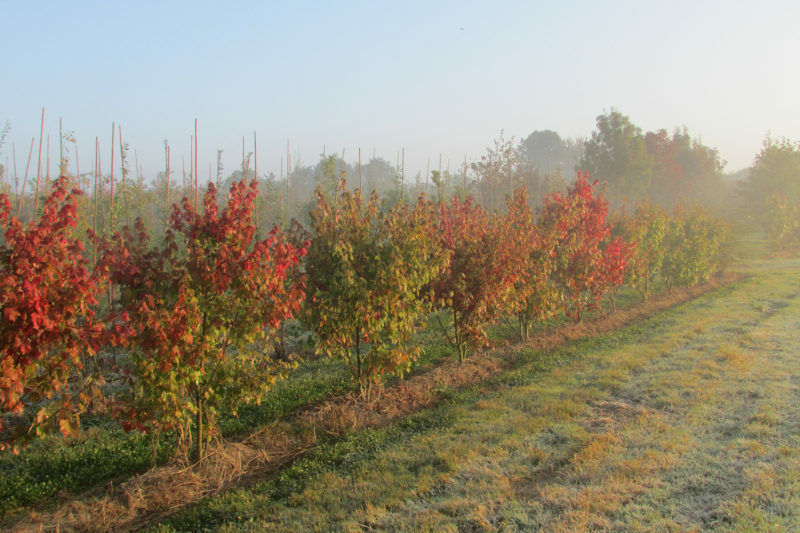 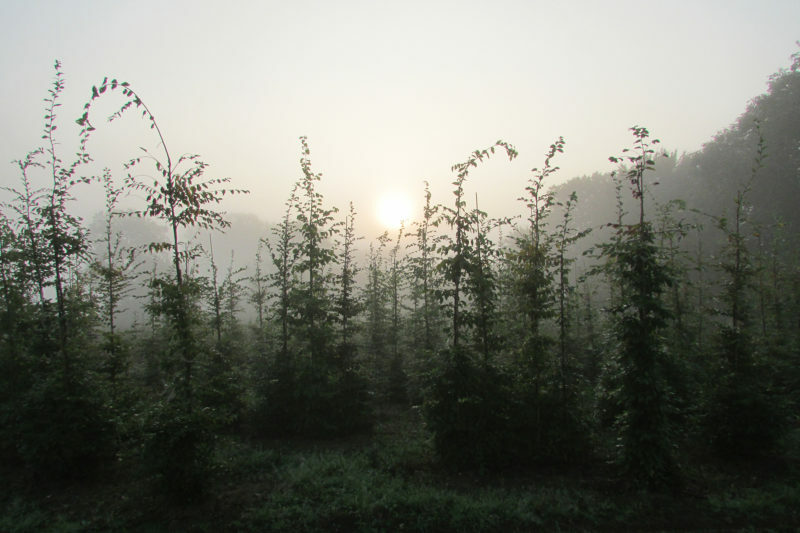 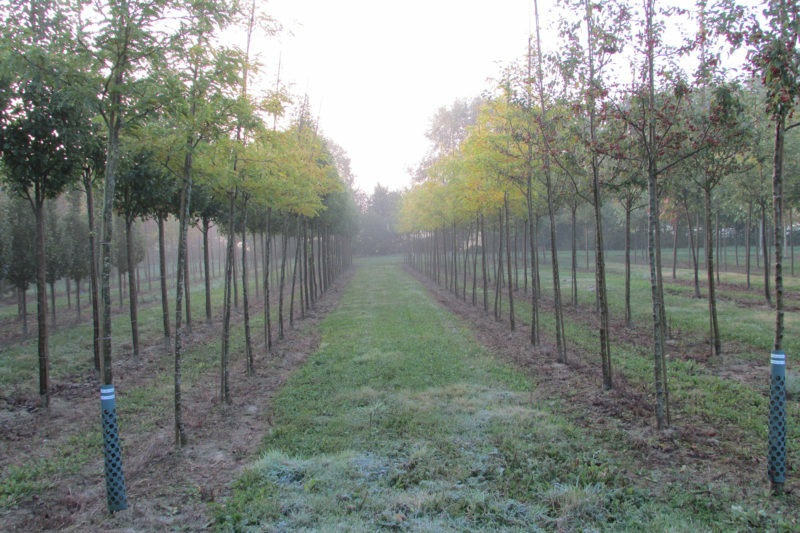 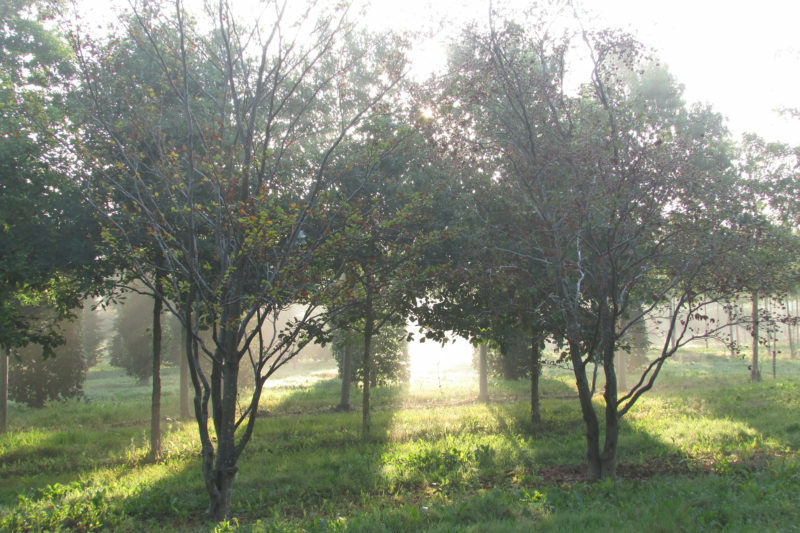 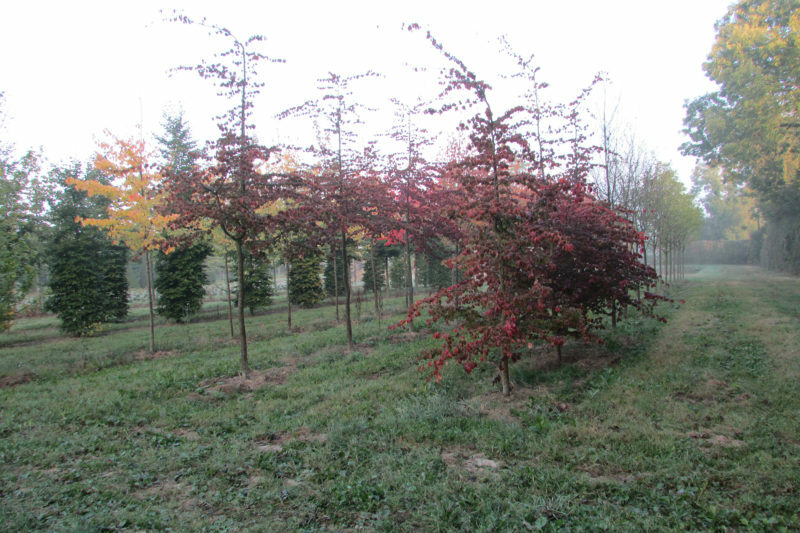 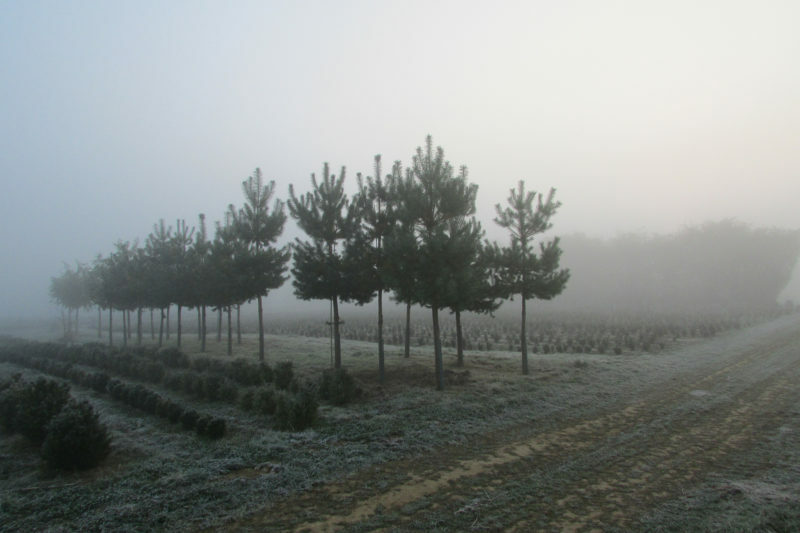 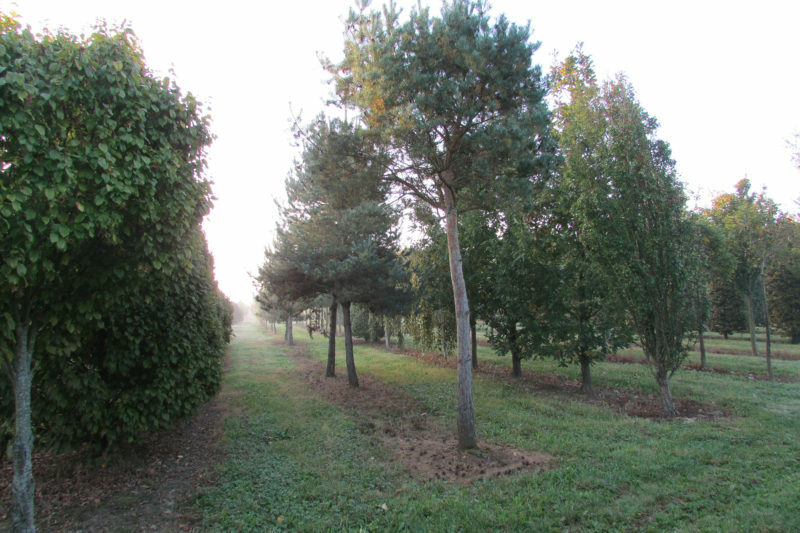 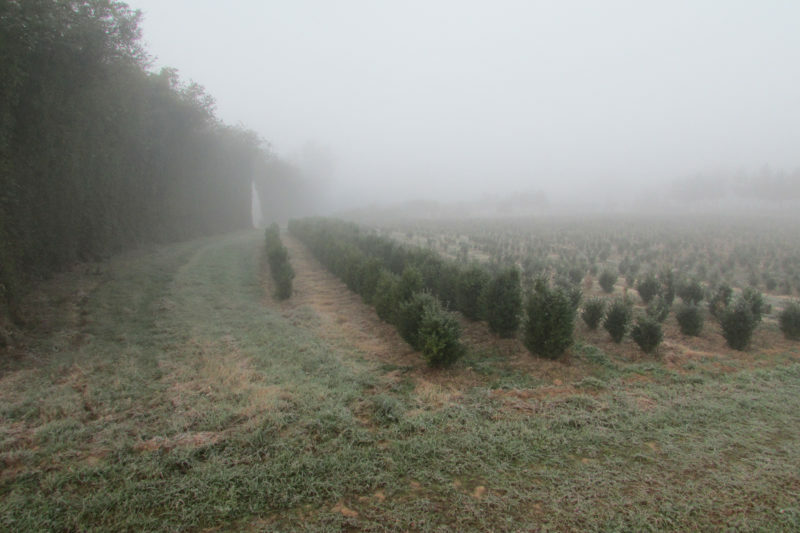 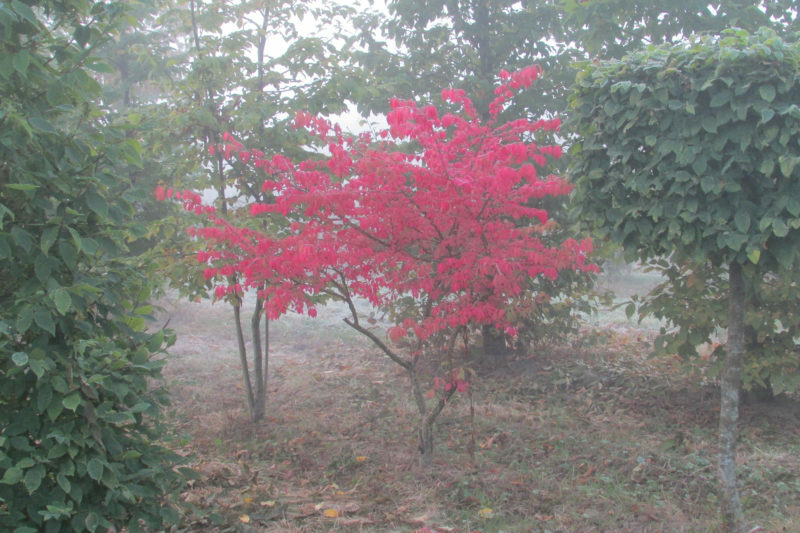 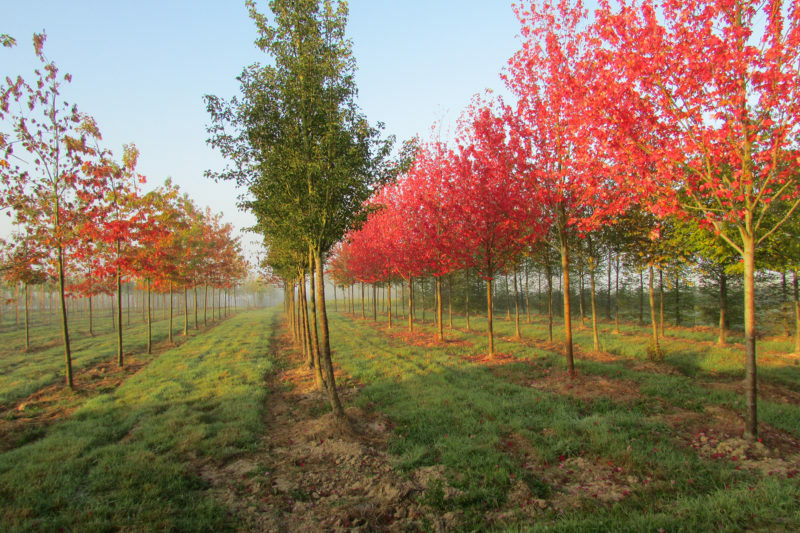 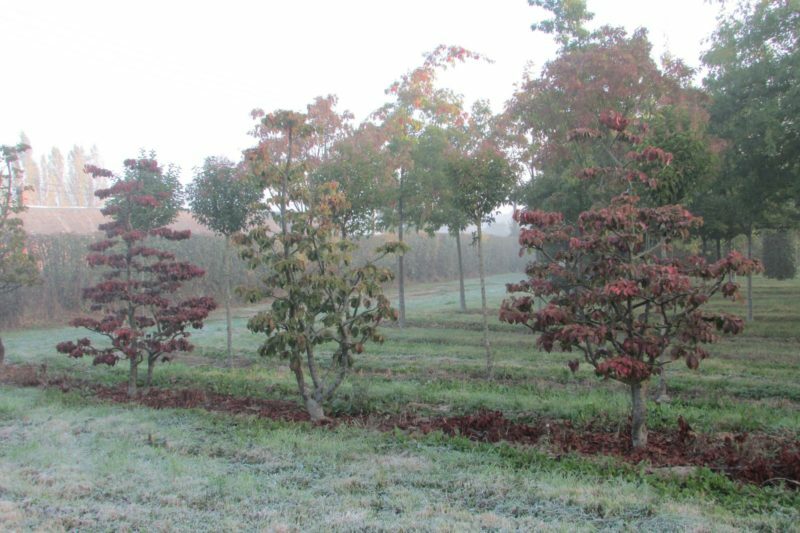 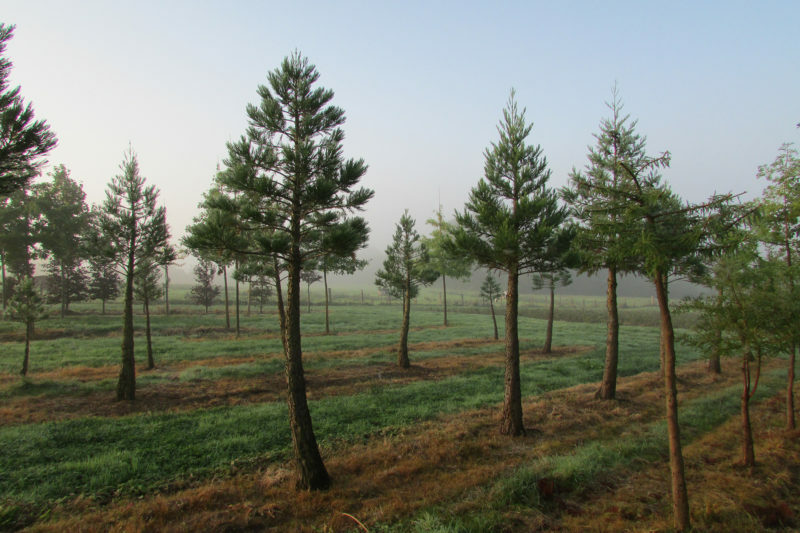 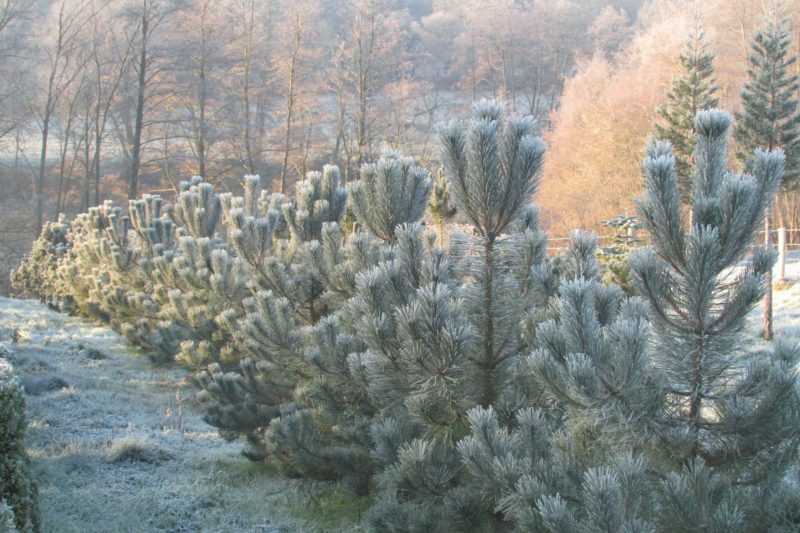 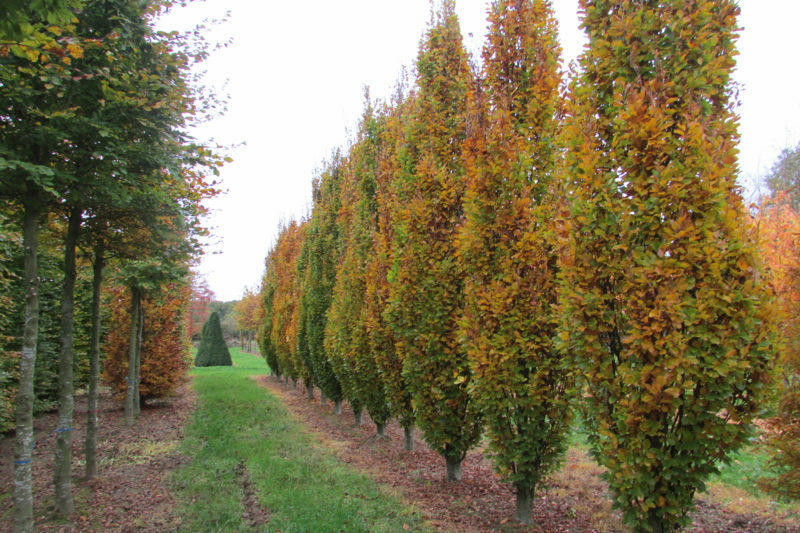 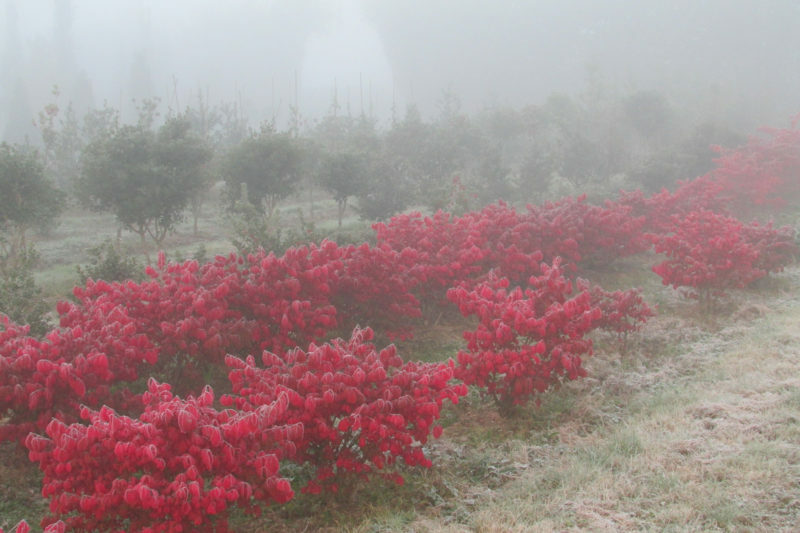 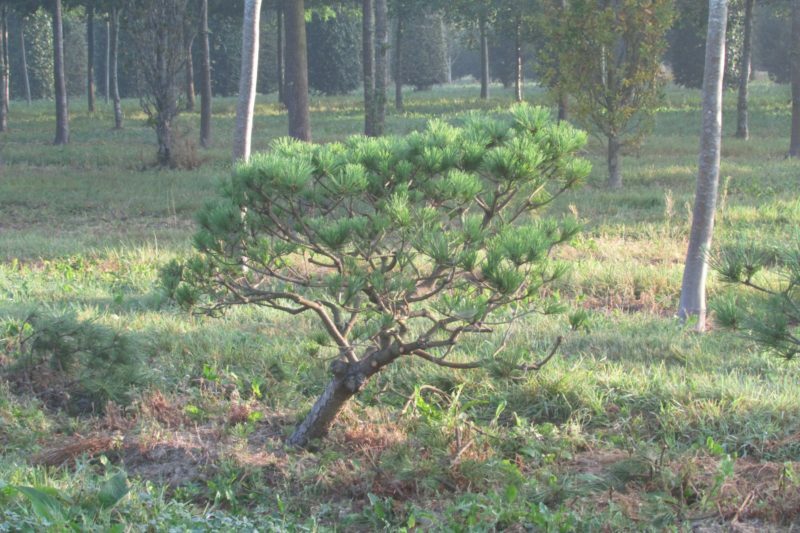 Every tree and shrub grown in our nursery reflects the place where it was grown. 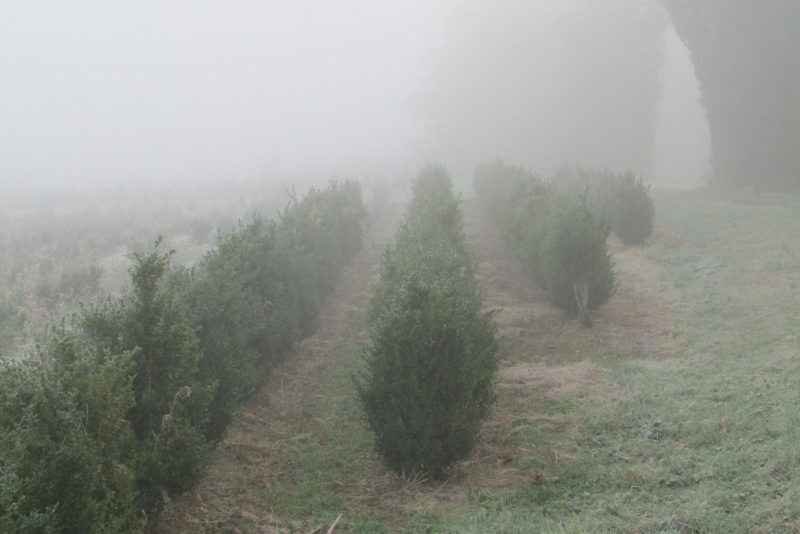 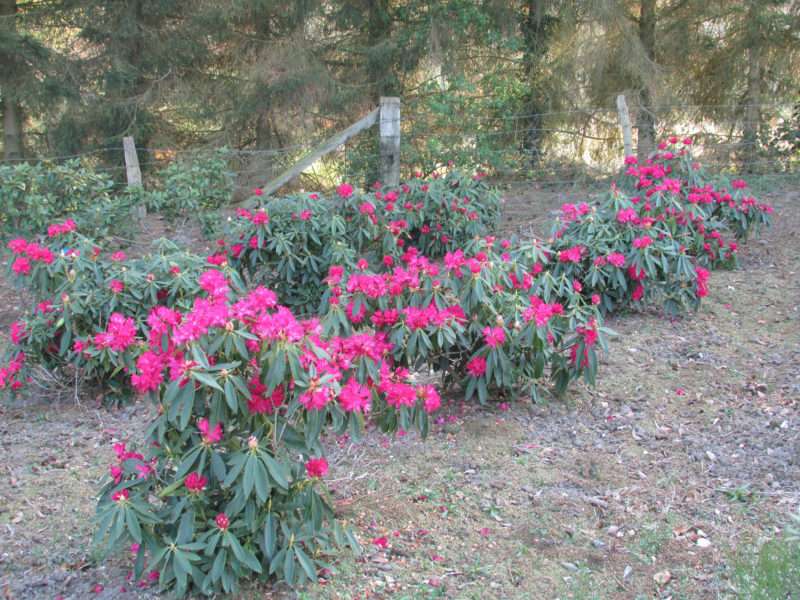 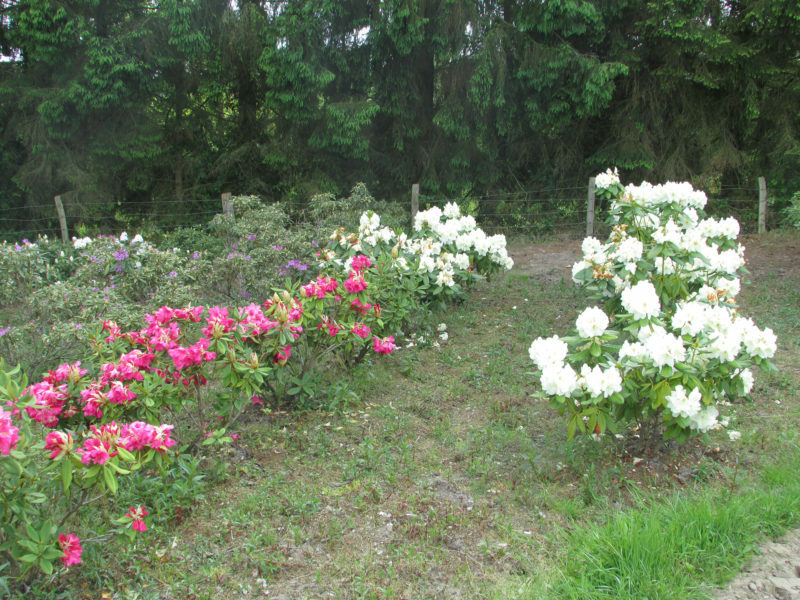 Our clay soil and unpredictable climate helps us grow high quality hardy plants. 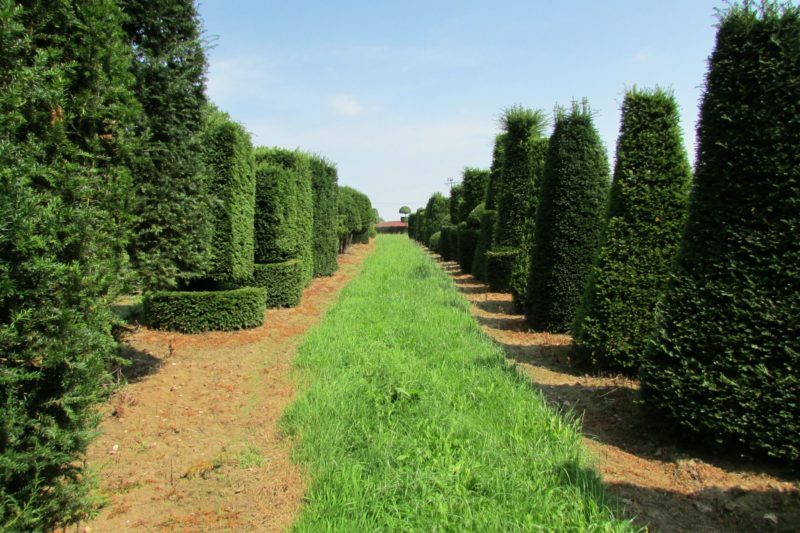 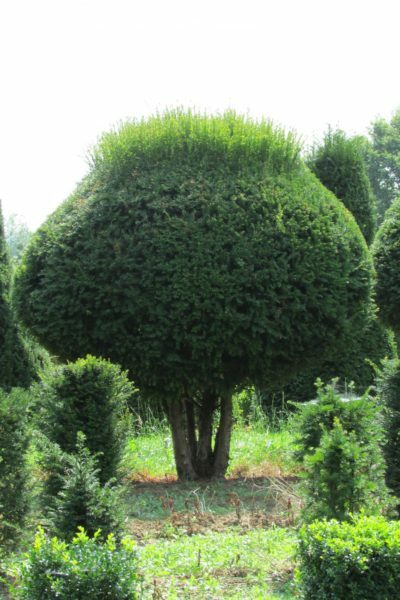 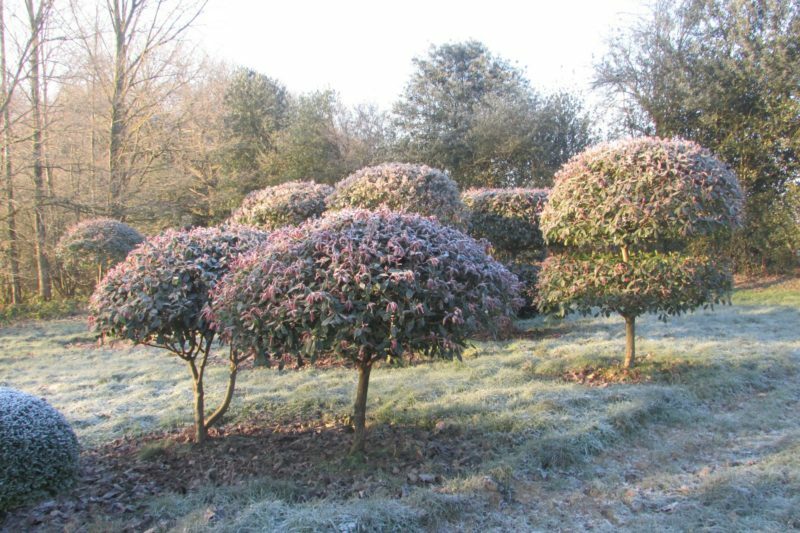 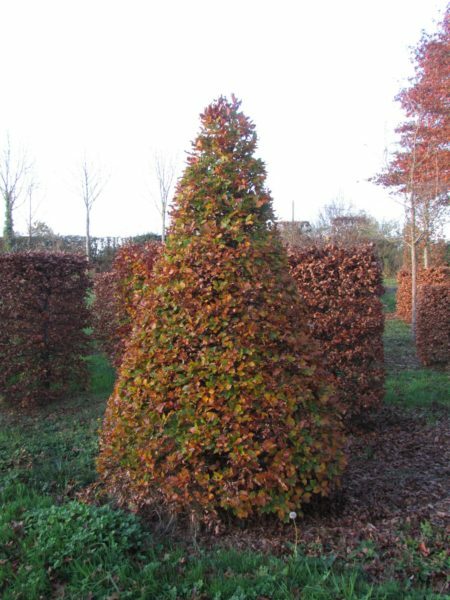 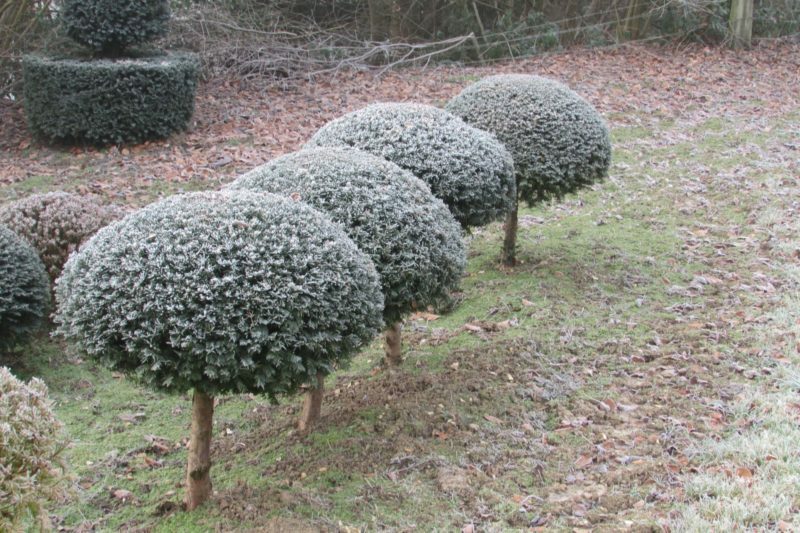 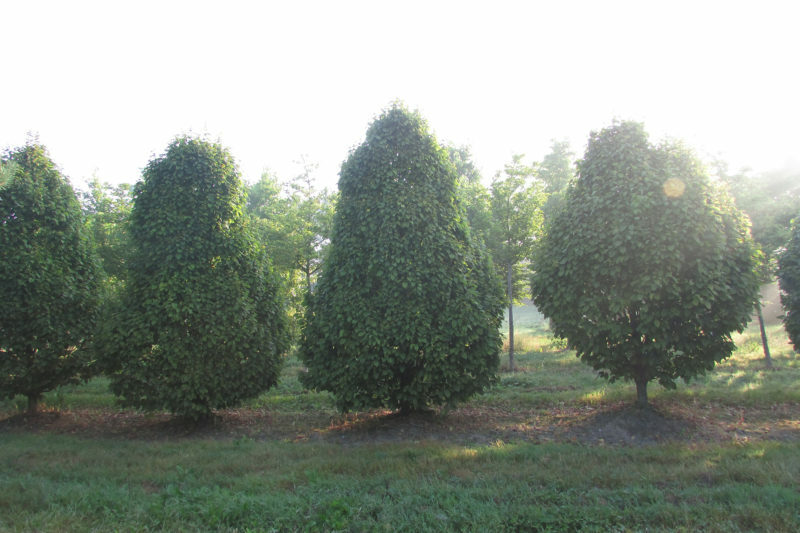 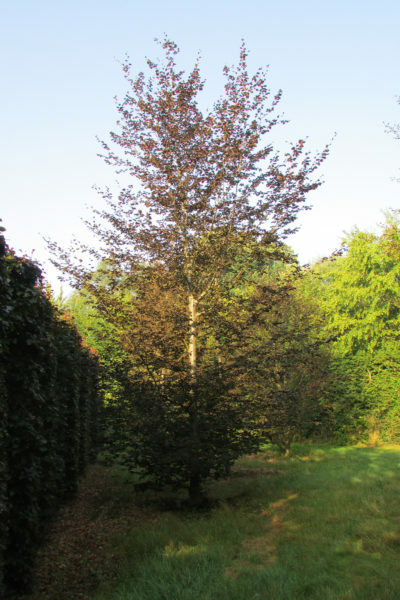 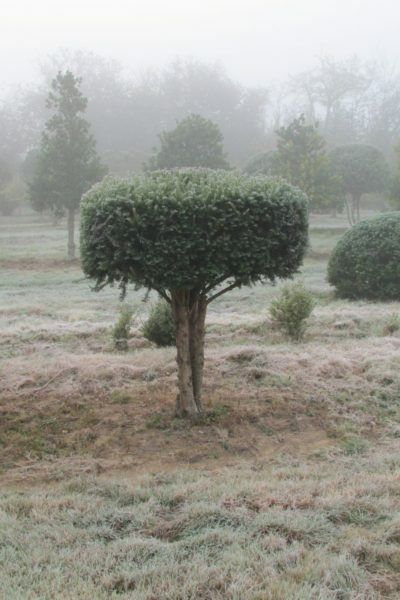 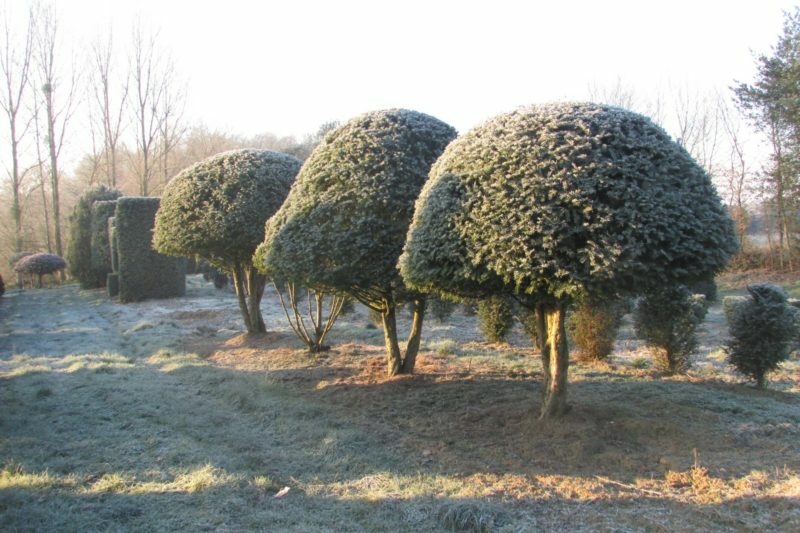 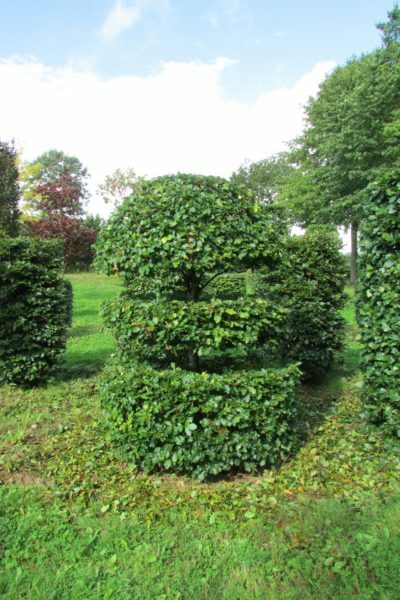 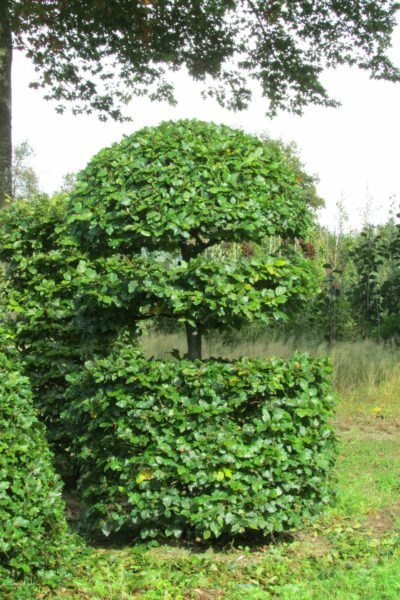 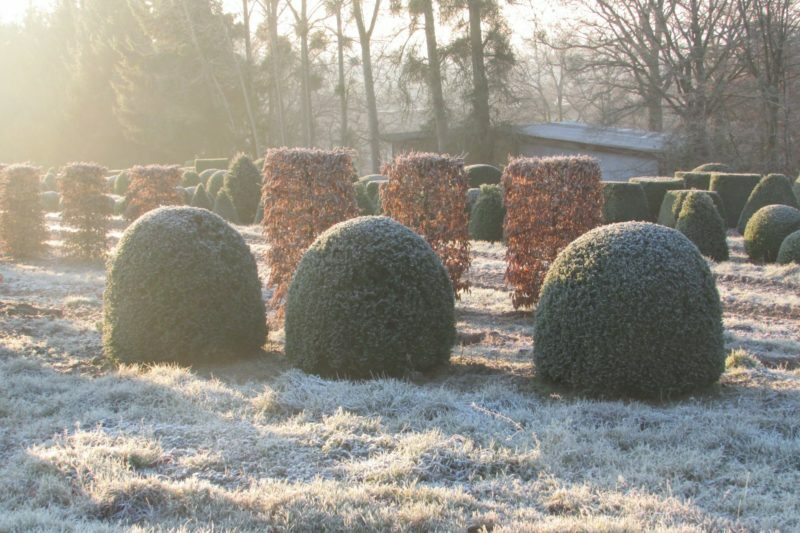 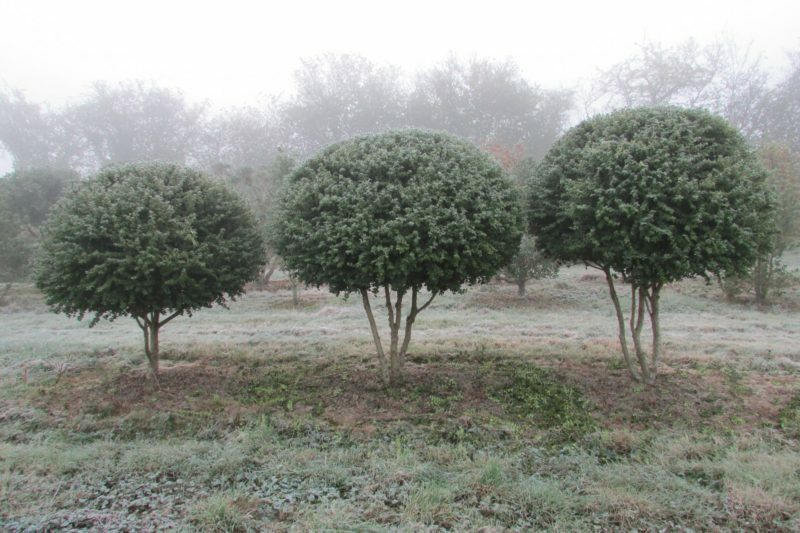 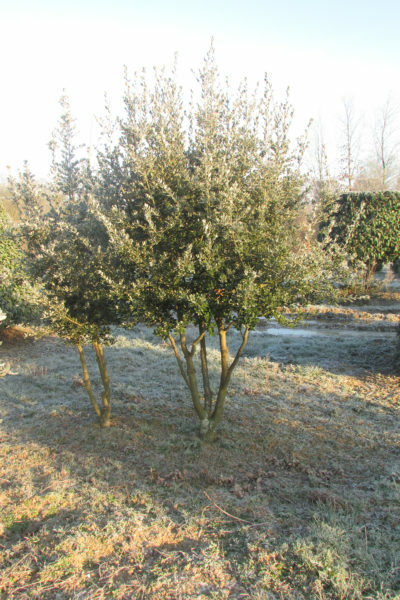 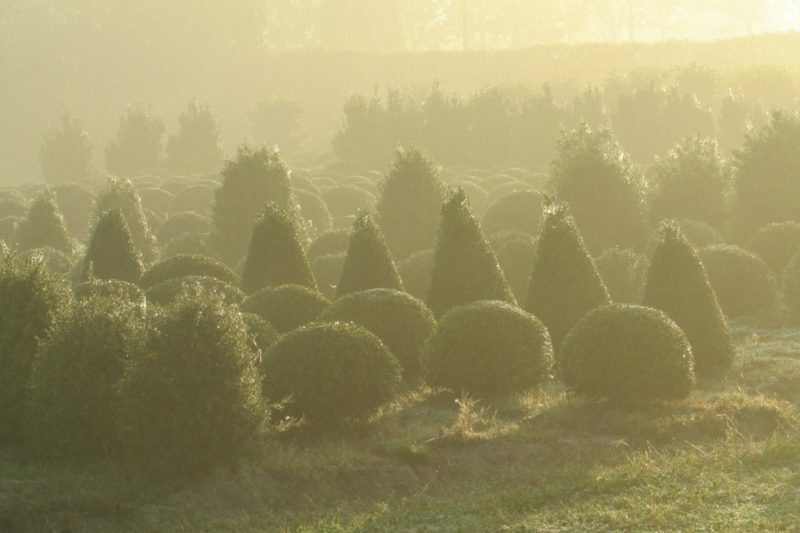 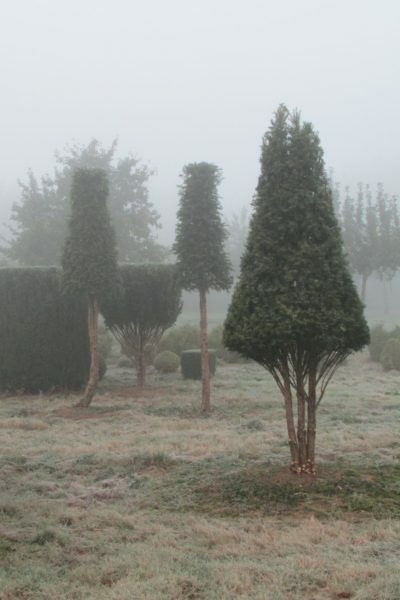 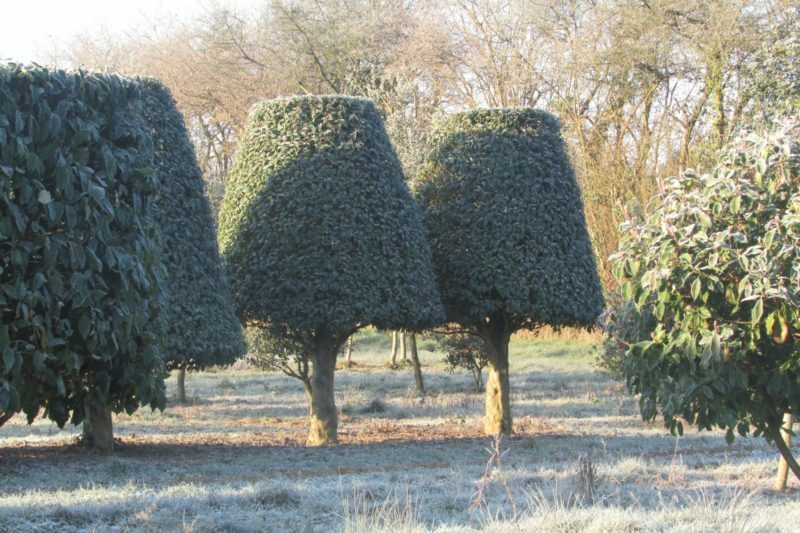 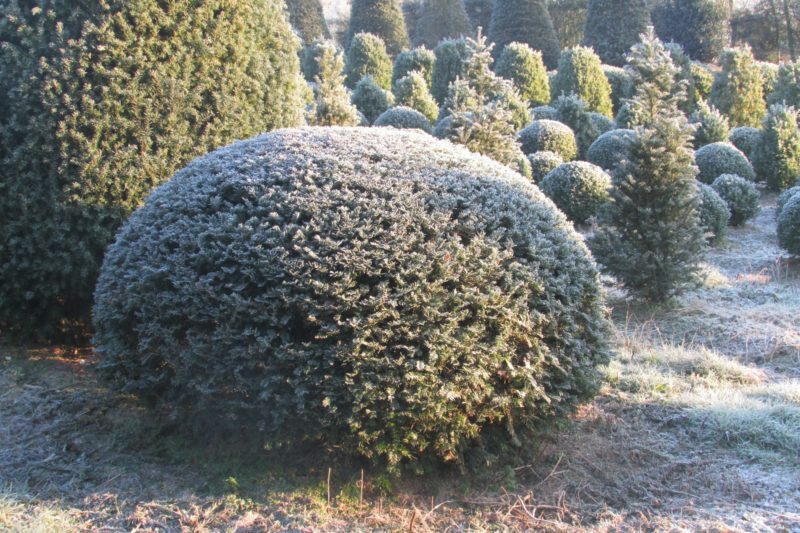 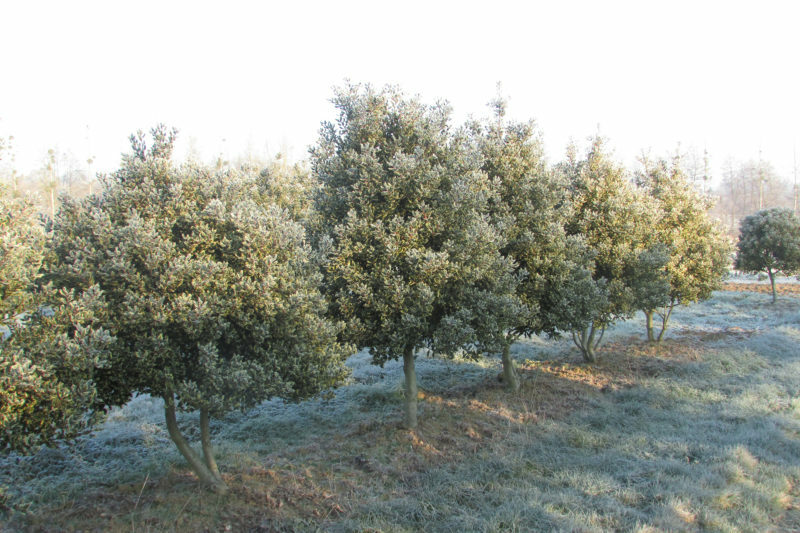 Slowly but surely, fashioned at the hands of our expert nurserymen, the young plant is shaped into a shrub, tree, hedge or topiary, to provide the essential material for your landscape project. 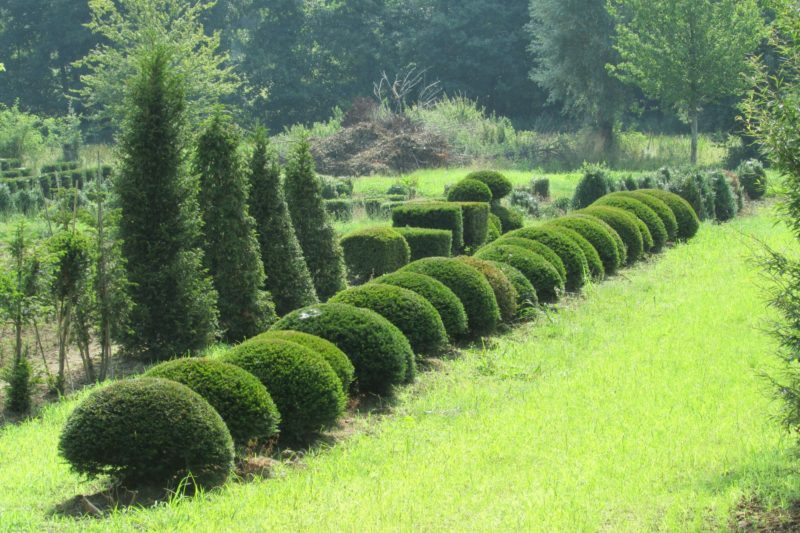 French gardens owe much of their style to the geometric shapes of topiary, an art form that demands patience and respect of the plant. 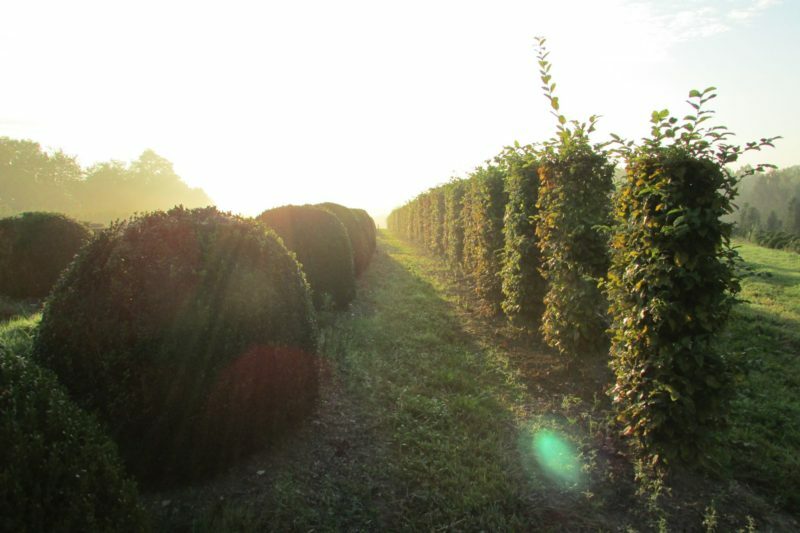 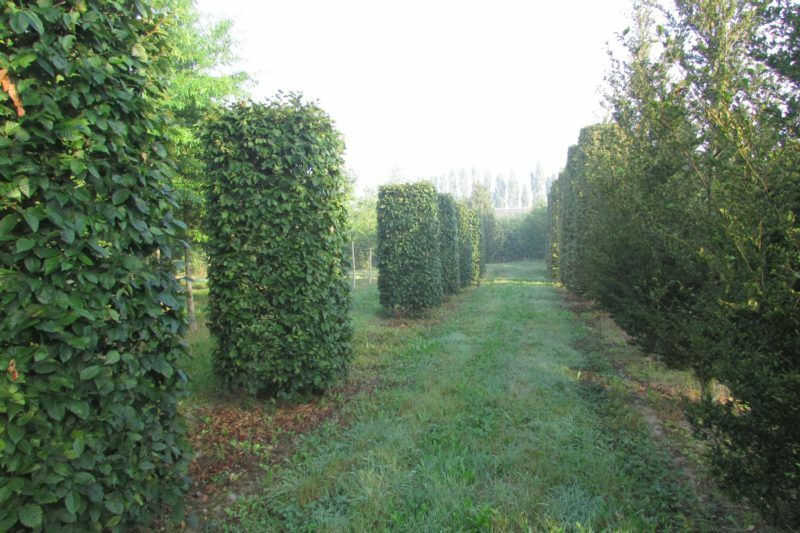 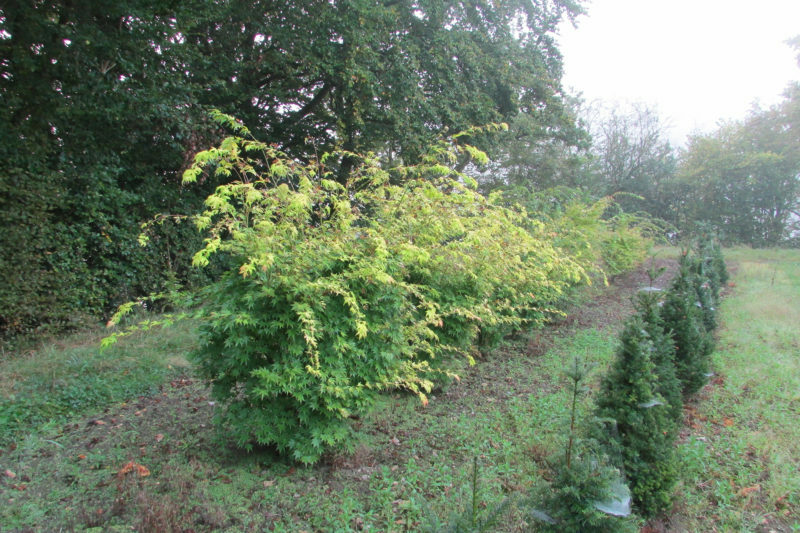 Hedges, a defining feature of our local ‘bocage’ landscape, structure the pastureland around our nursery. 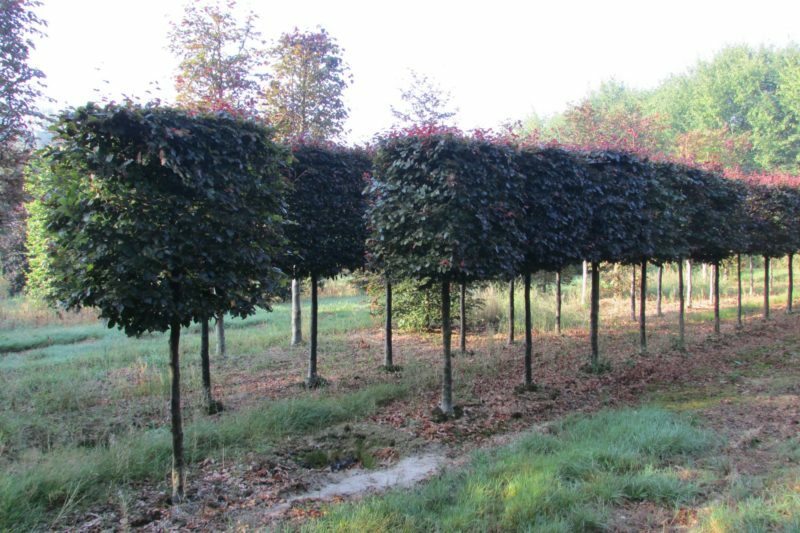 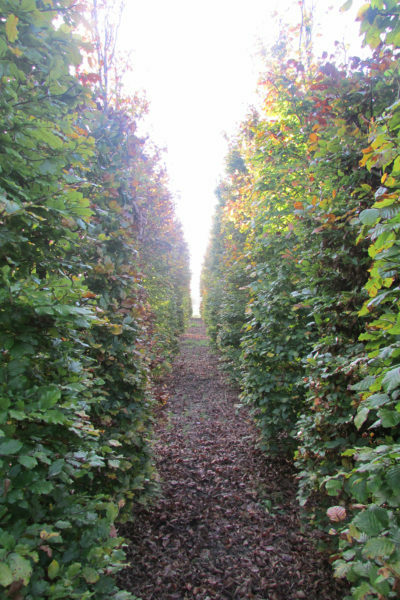 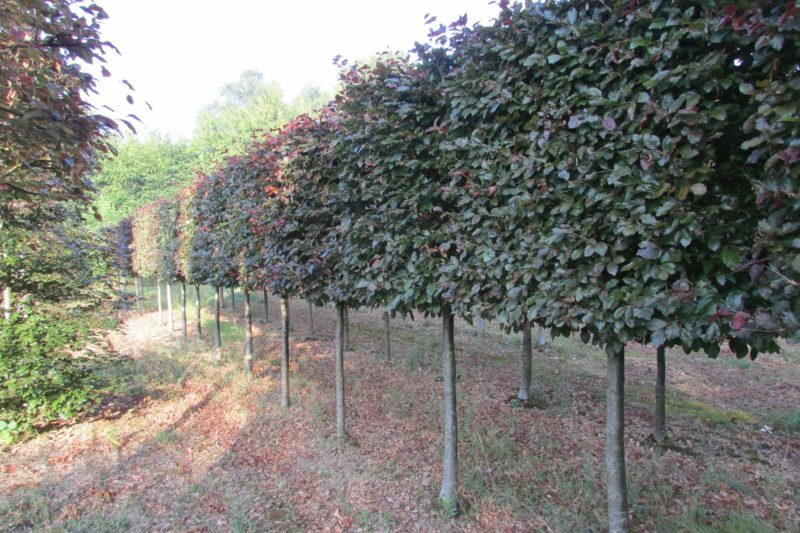 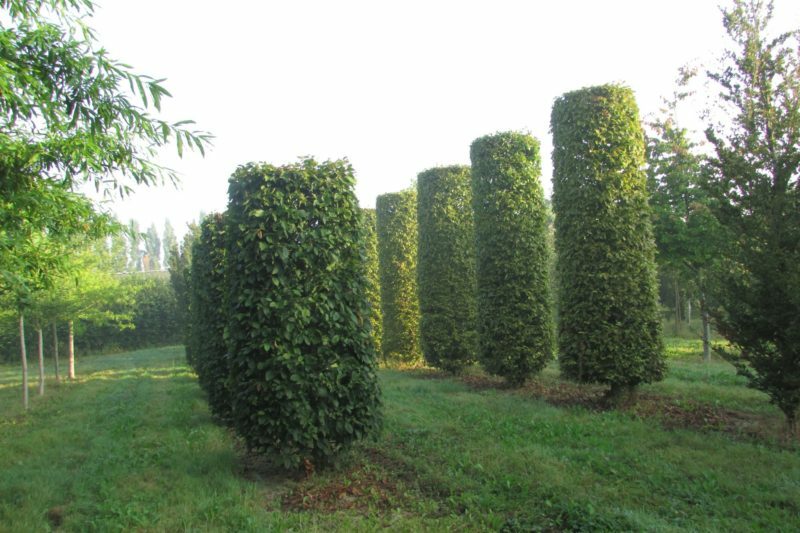 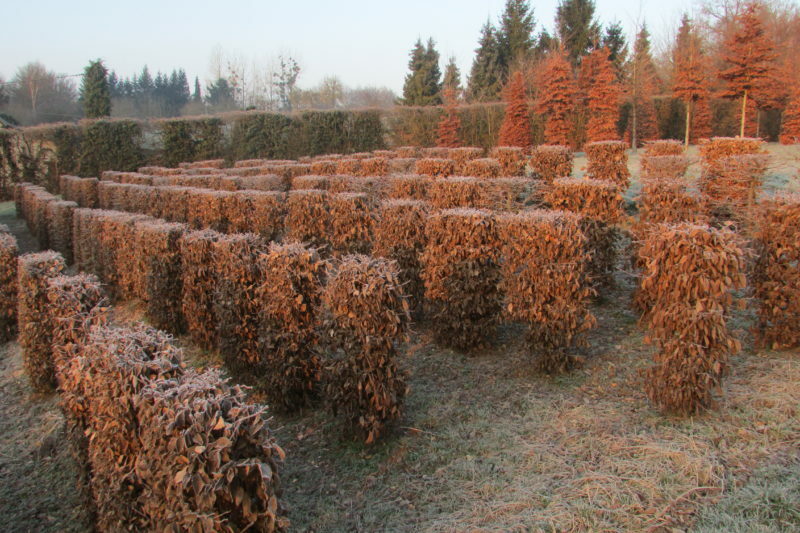 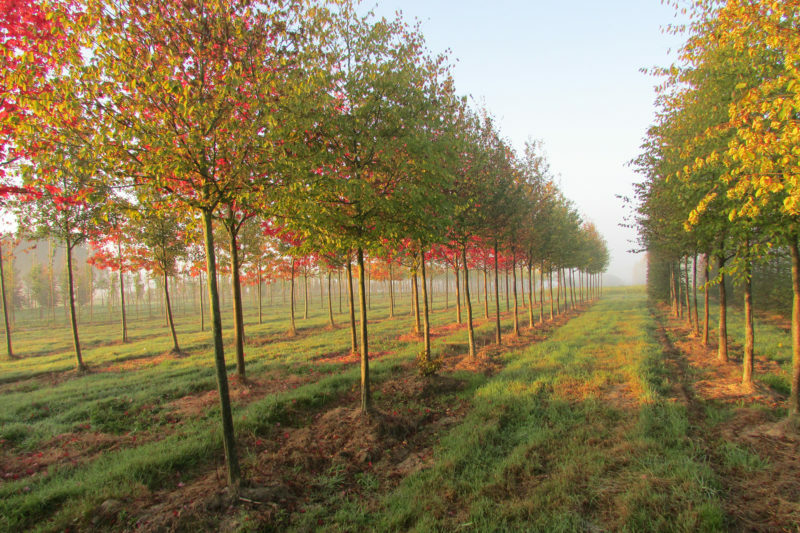 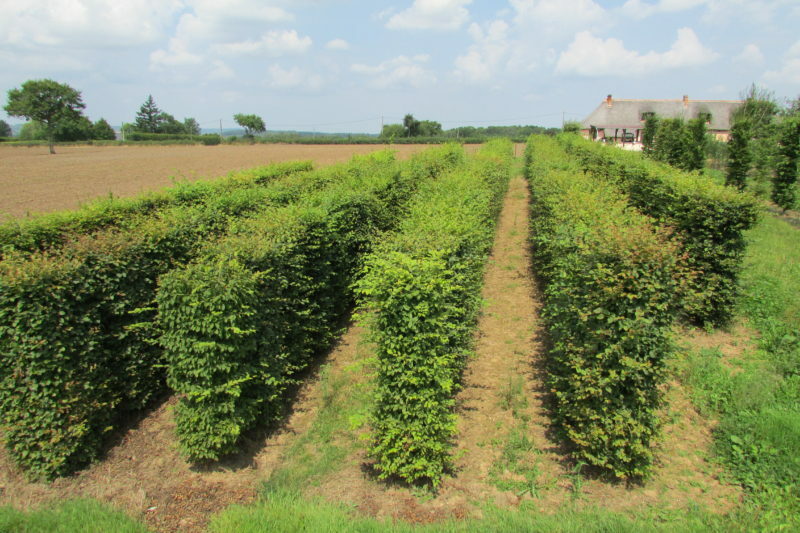 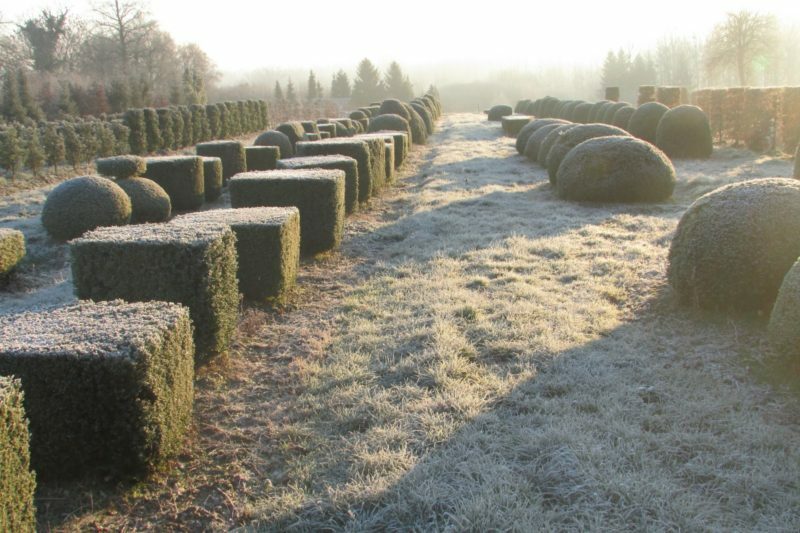 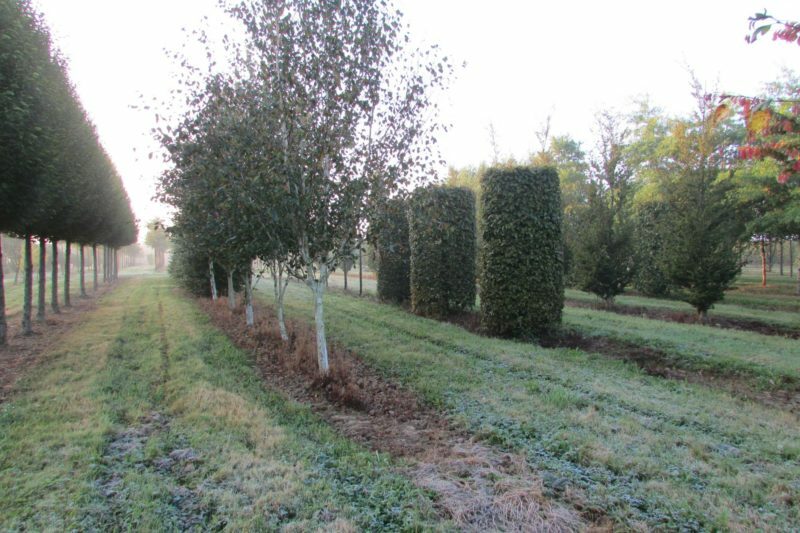 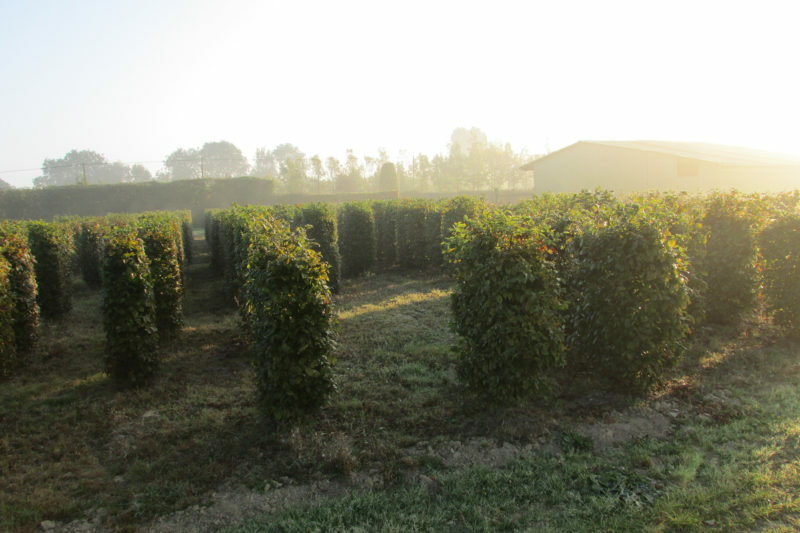 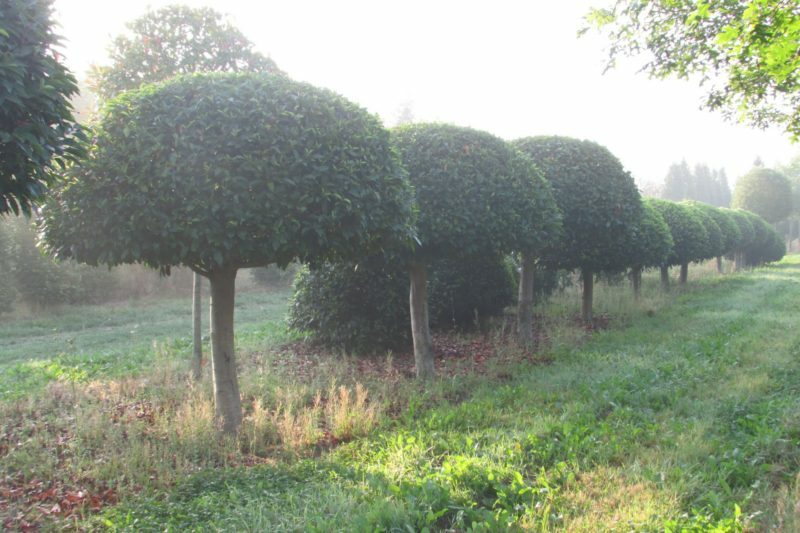 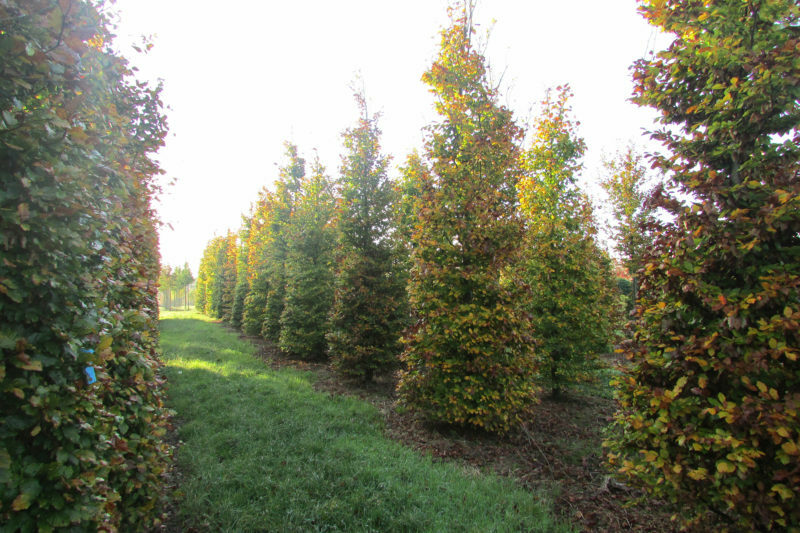 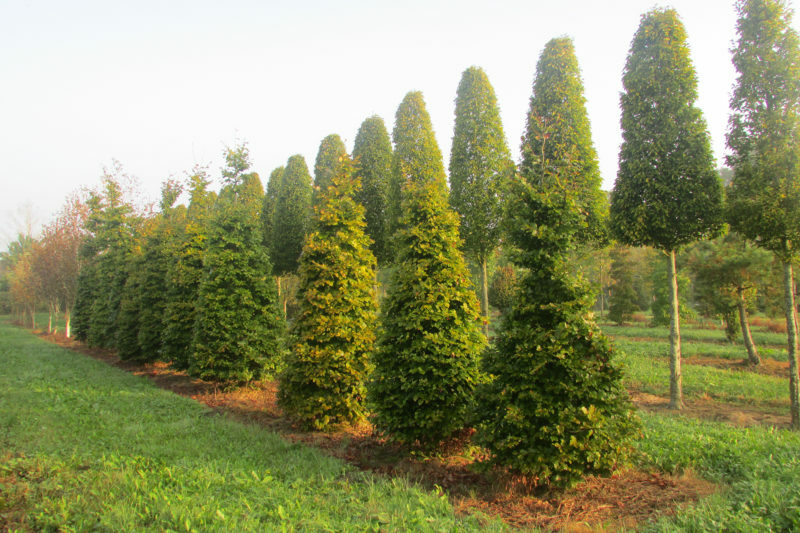 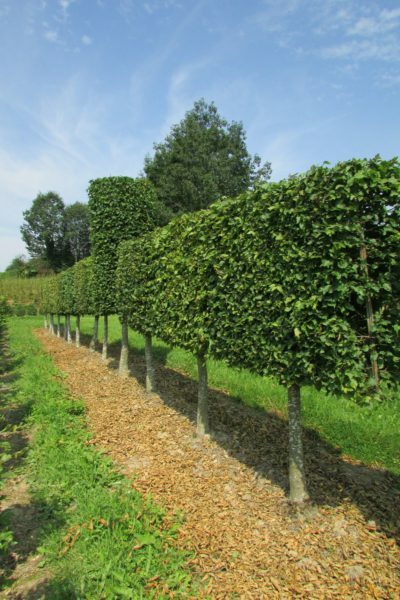 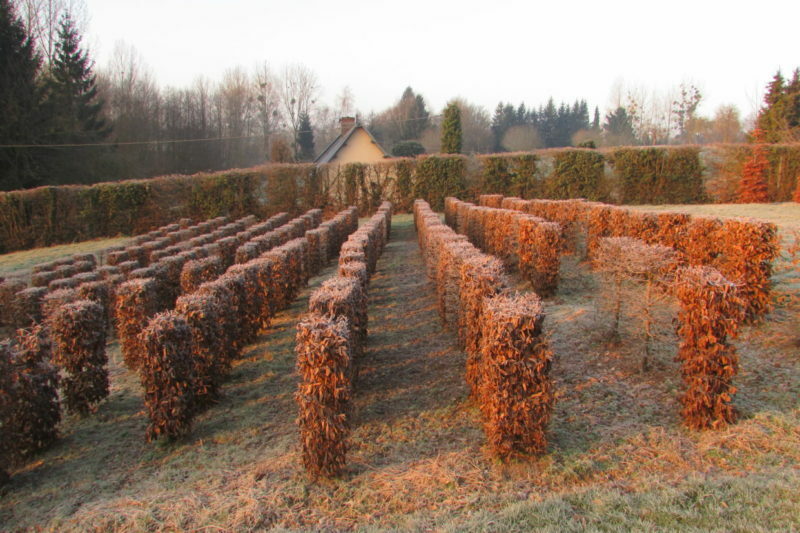 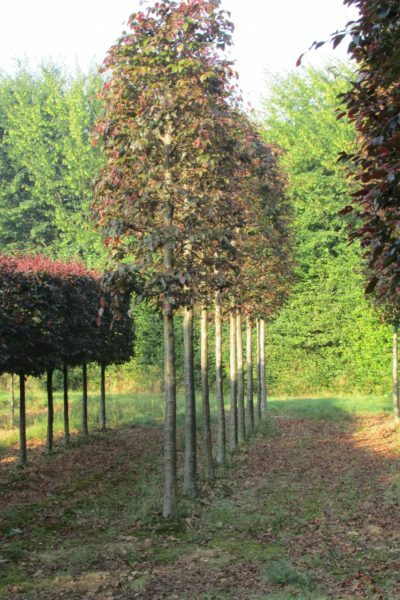 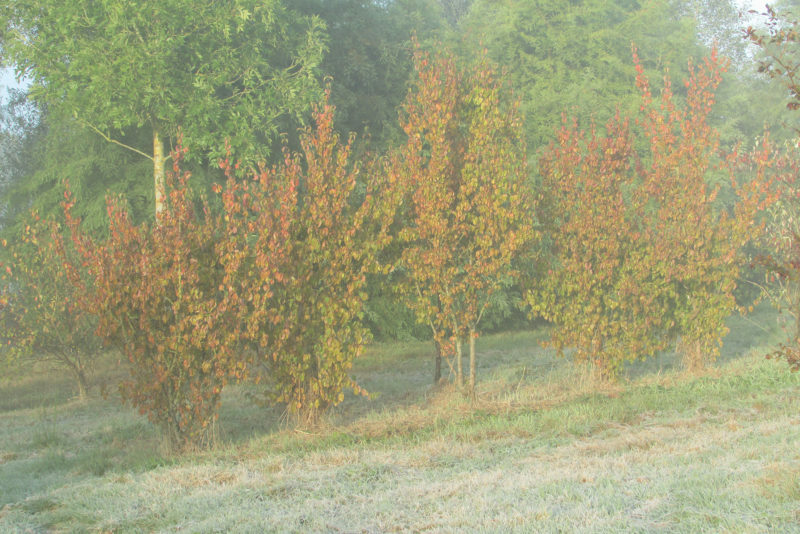 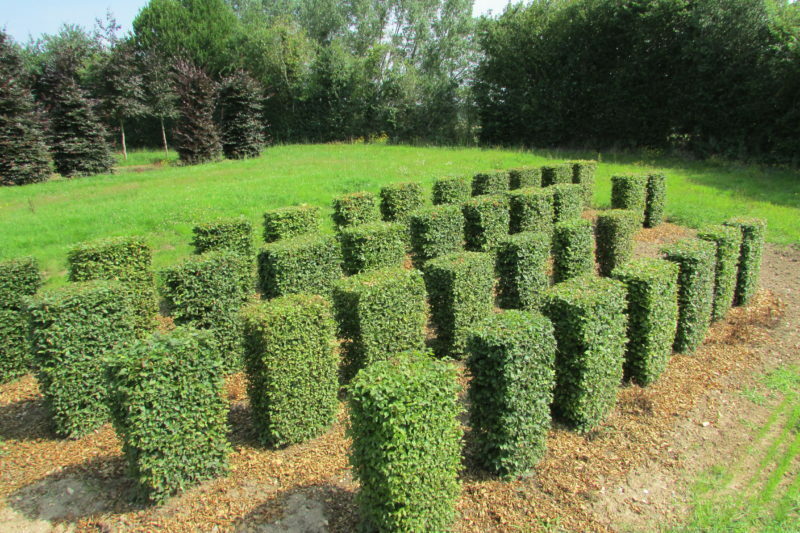 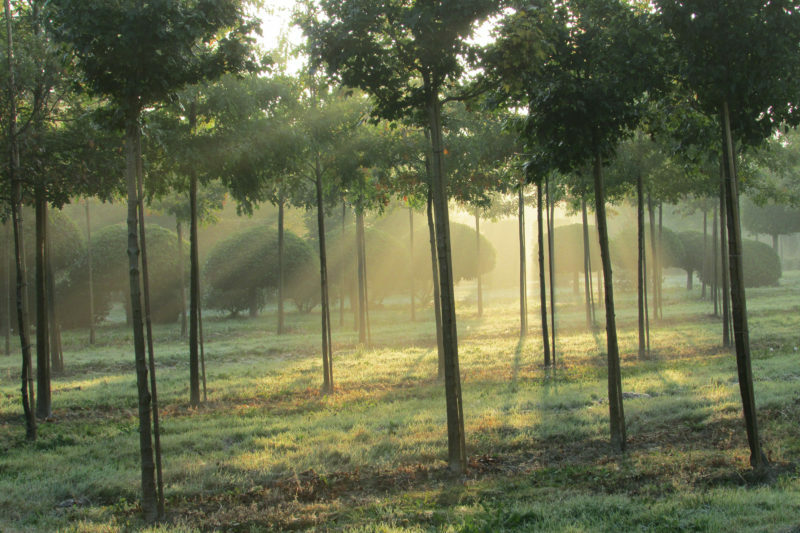 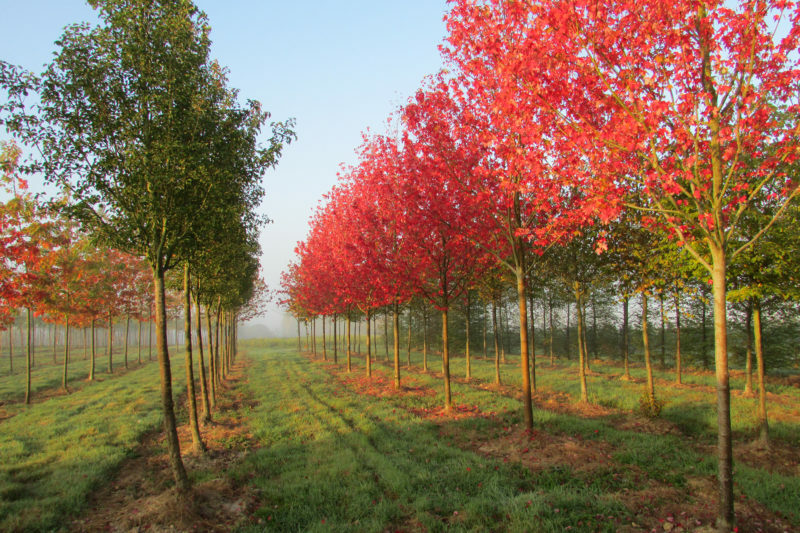 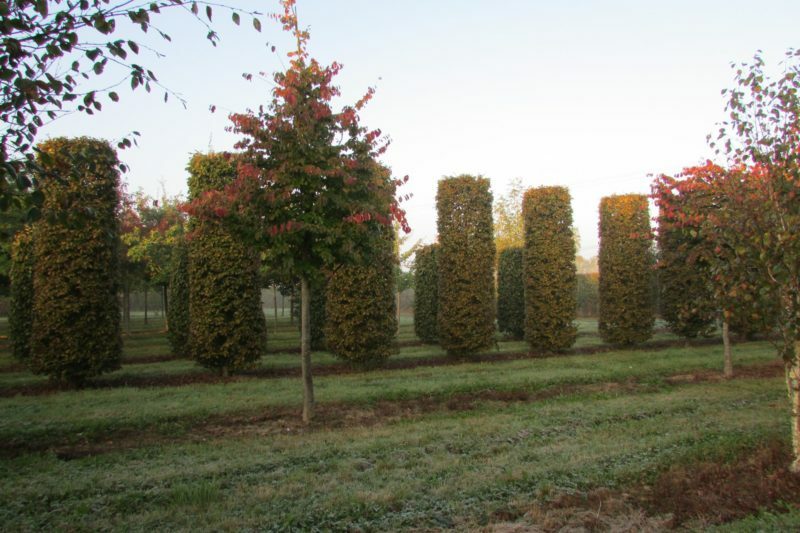 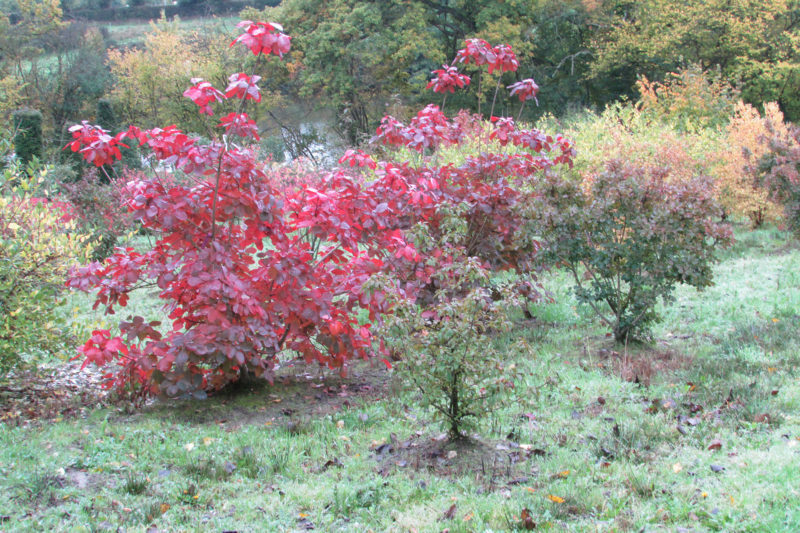 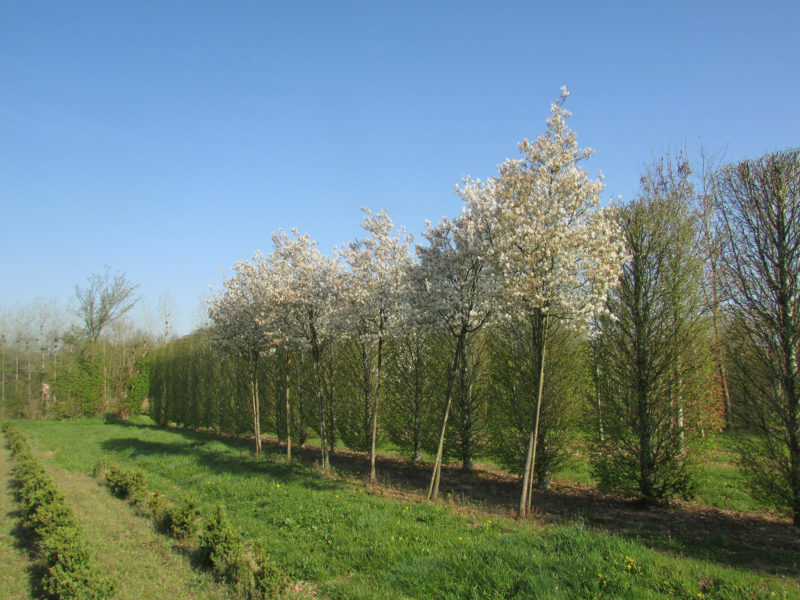 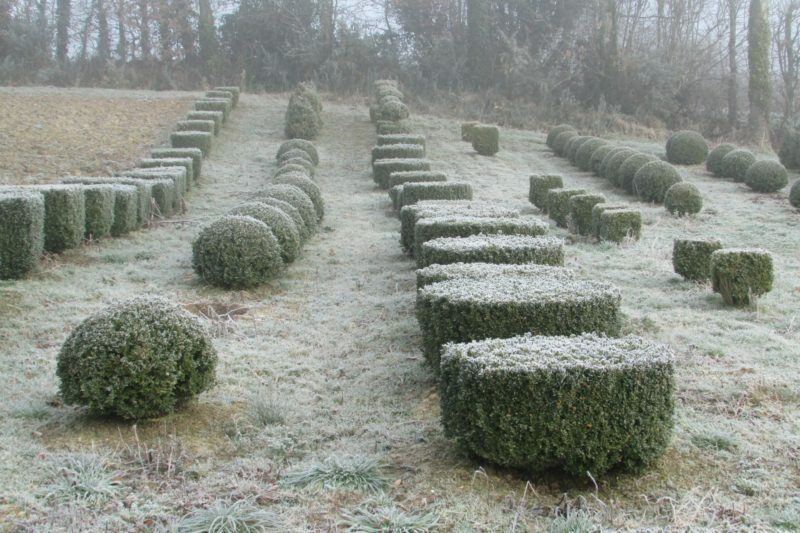 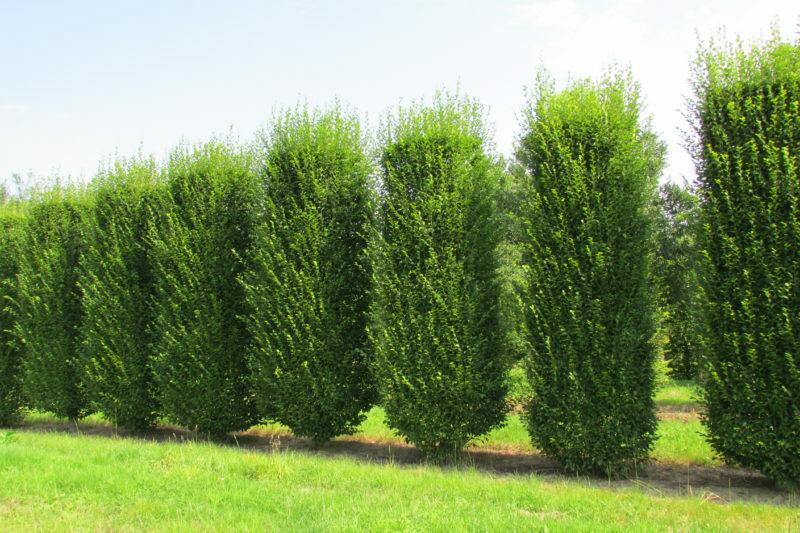 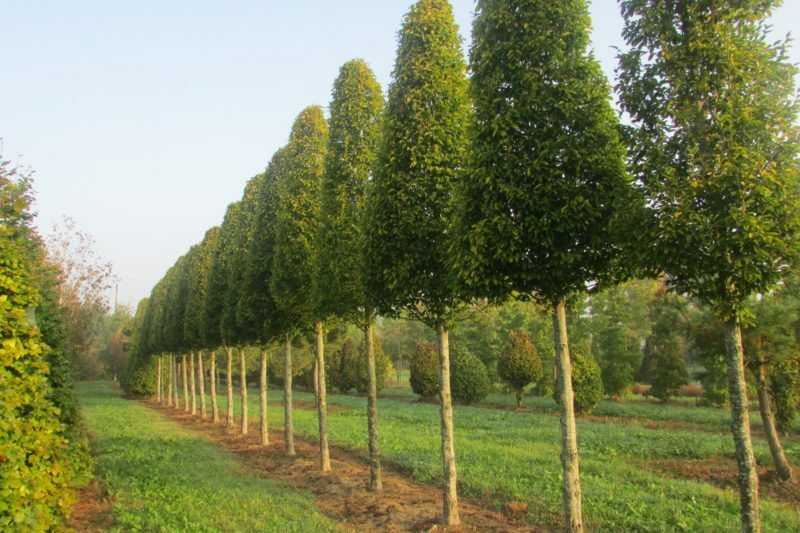 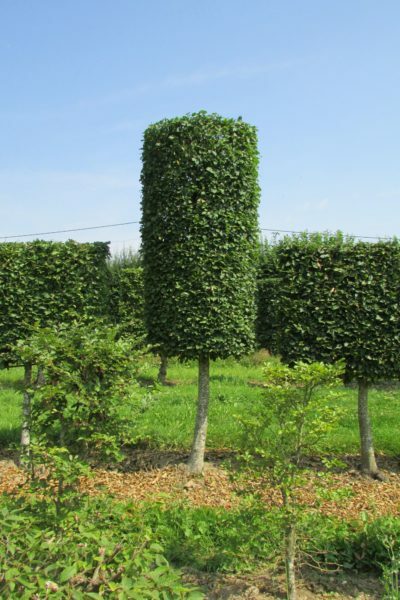 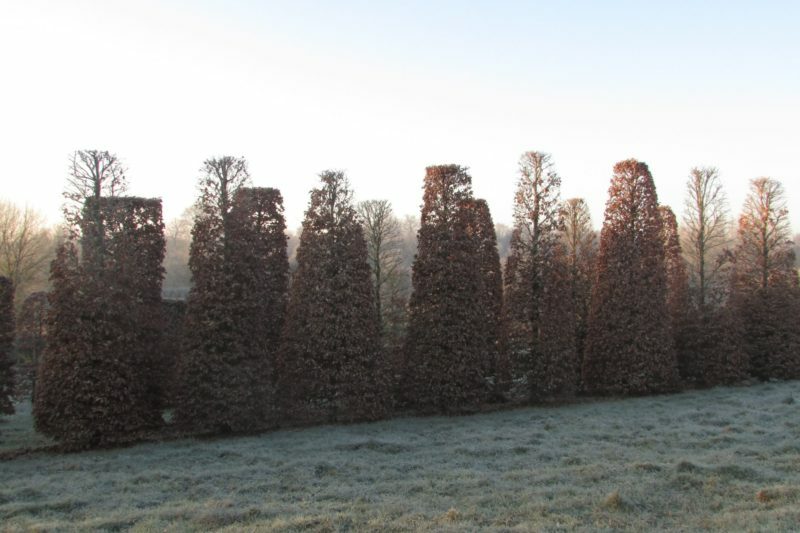 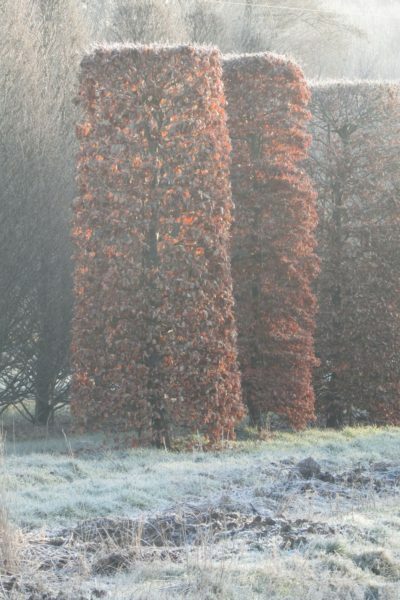 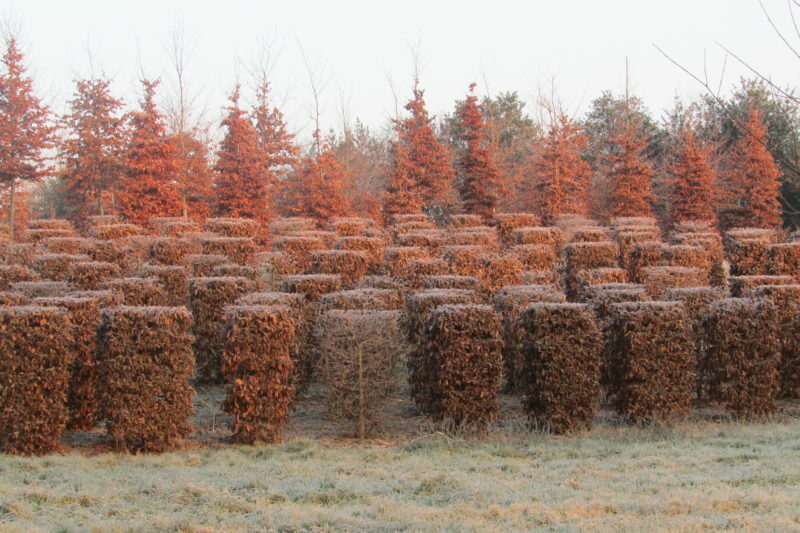 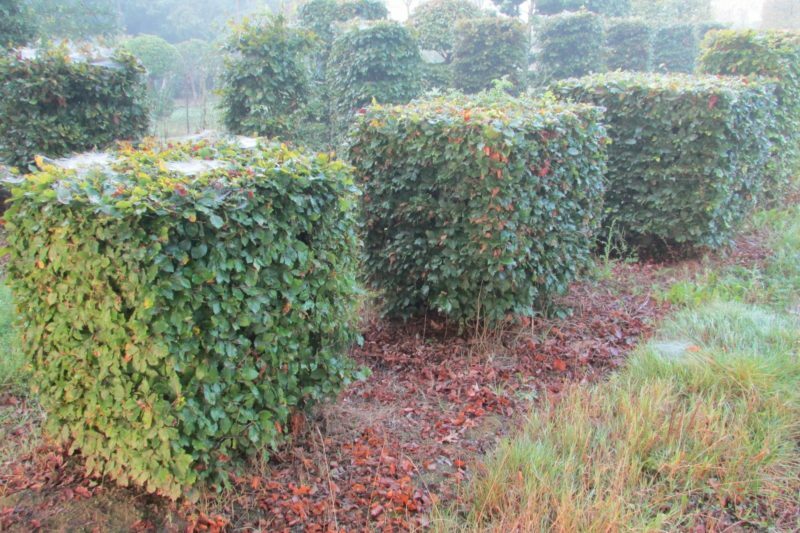 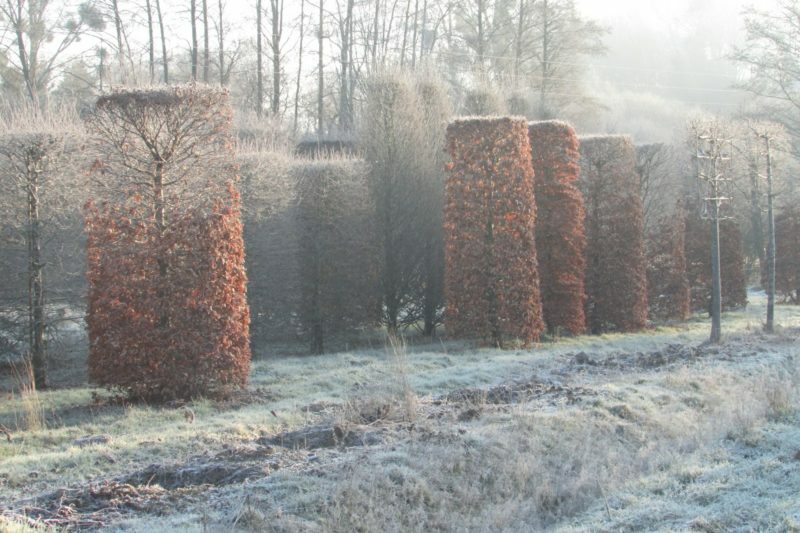 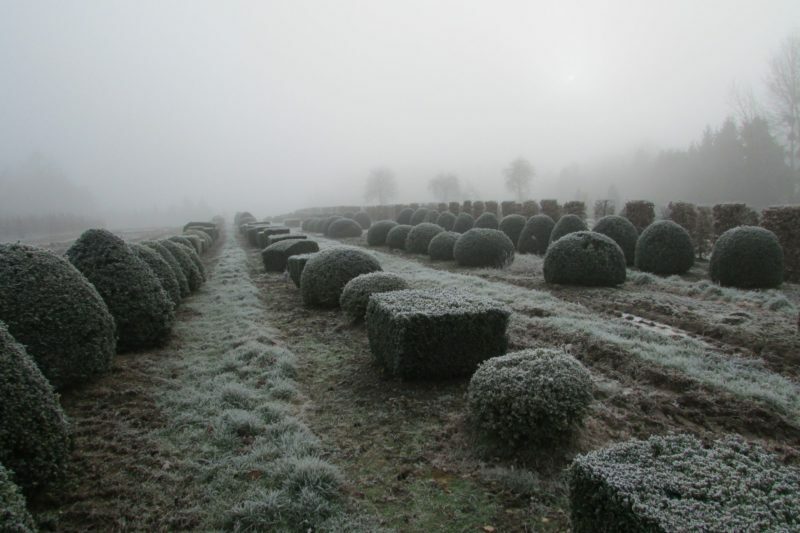 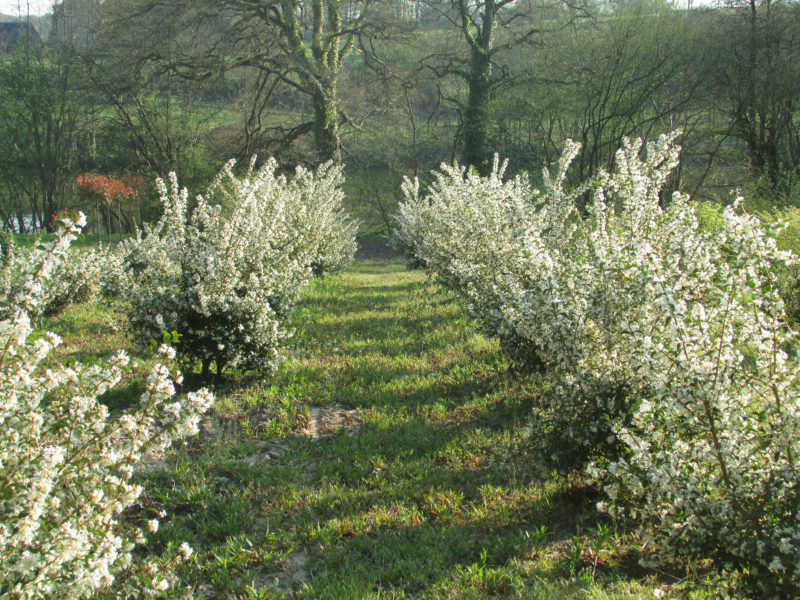 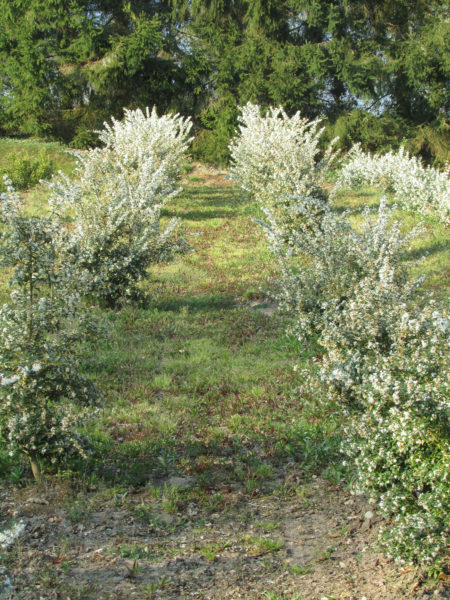 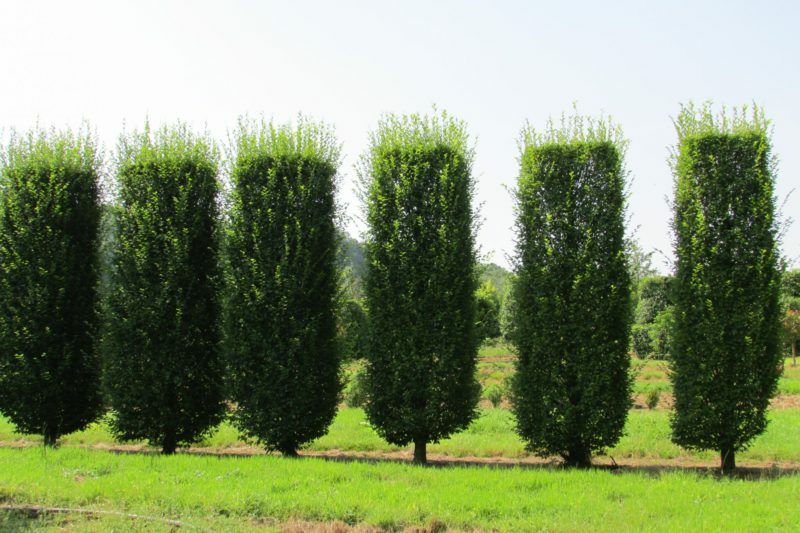 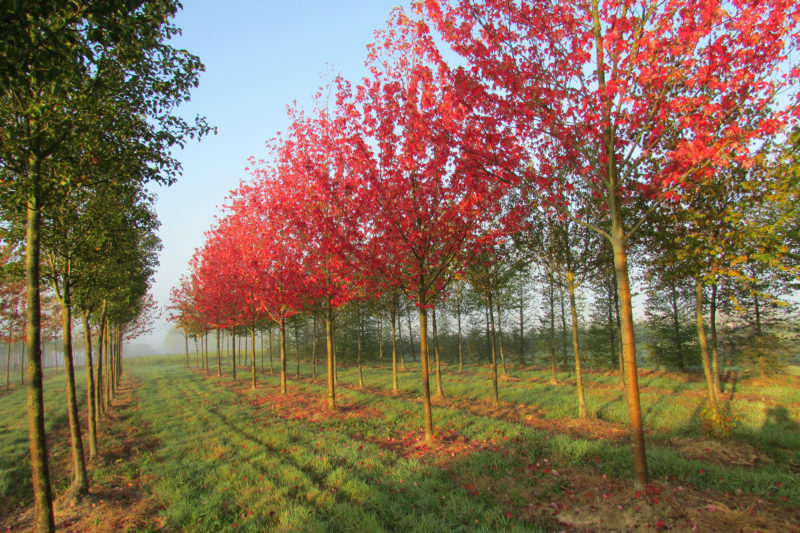 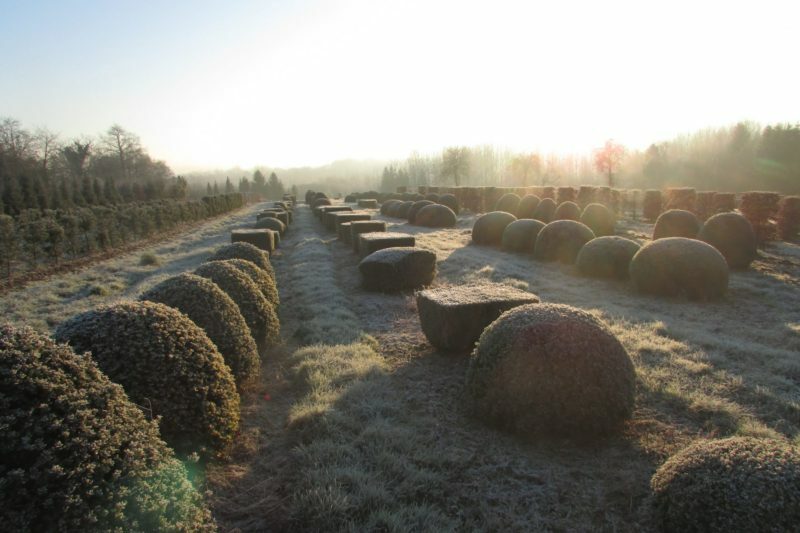 We grow saplings into hedges that are ready to plant for an instant effect. 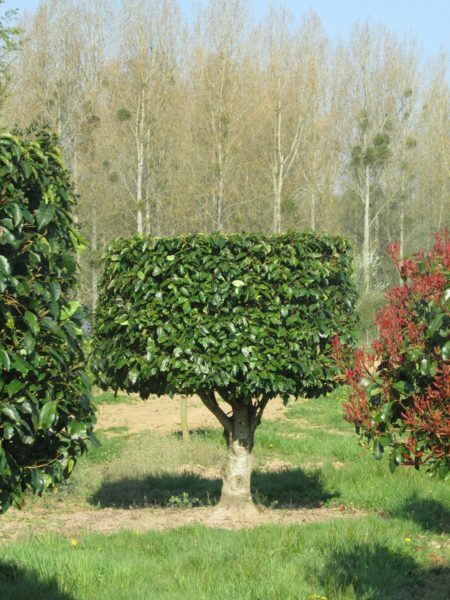 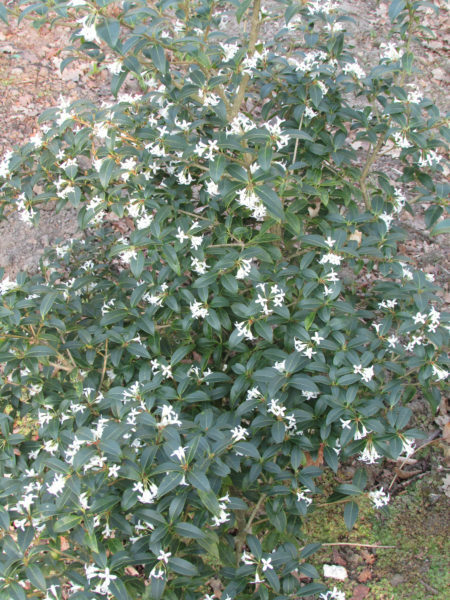 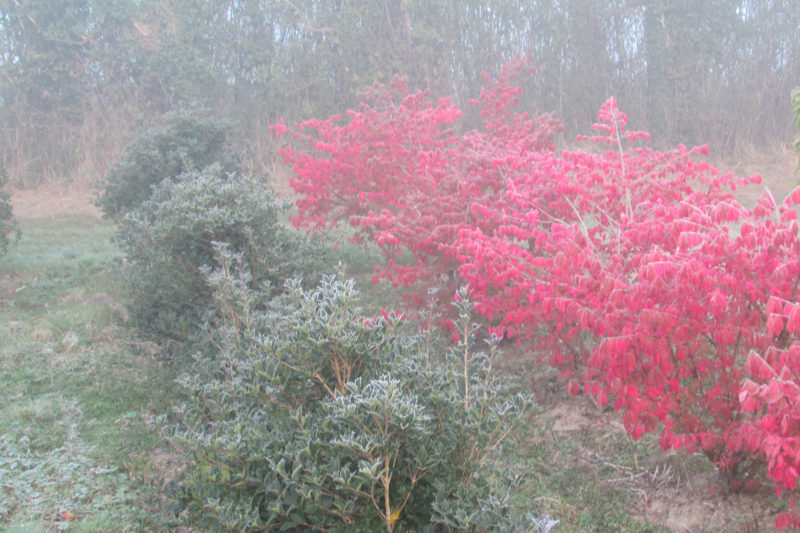 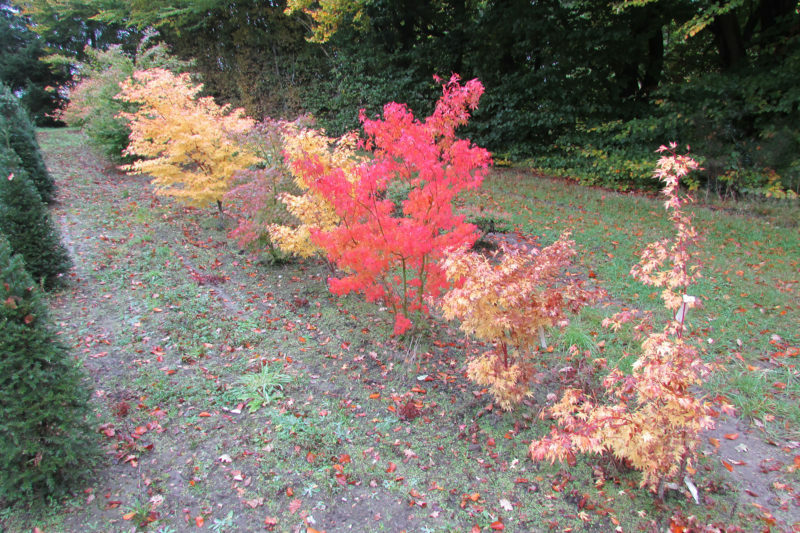 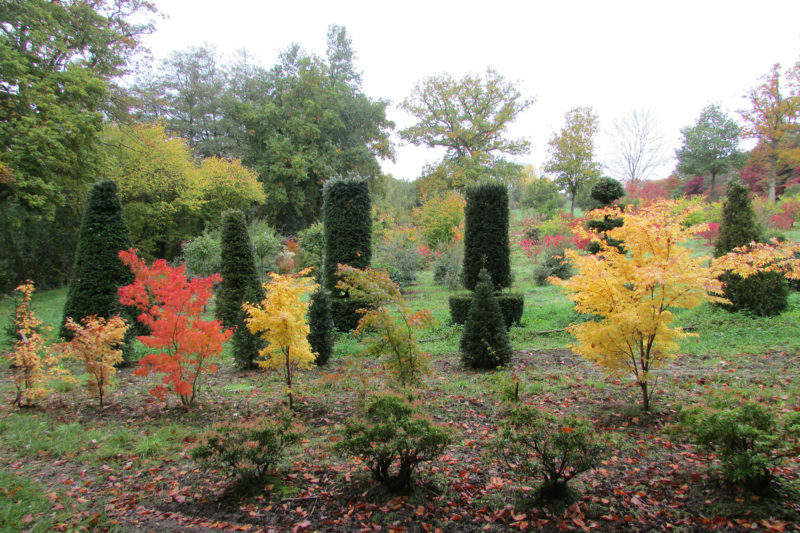 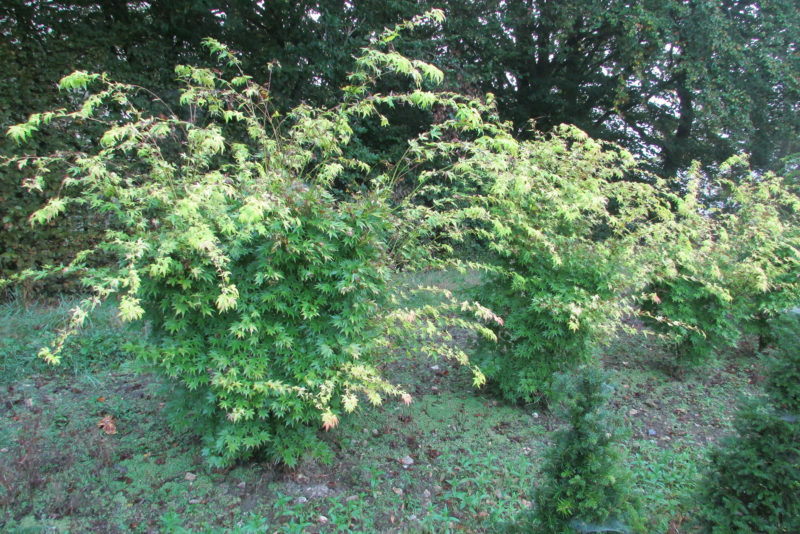 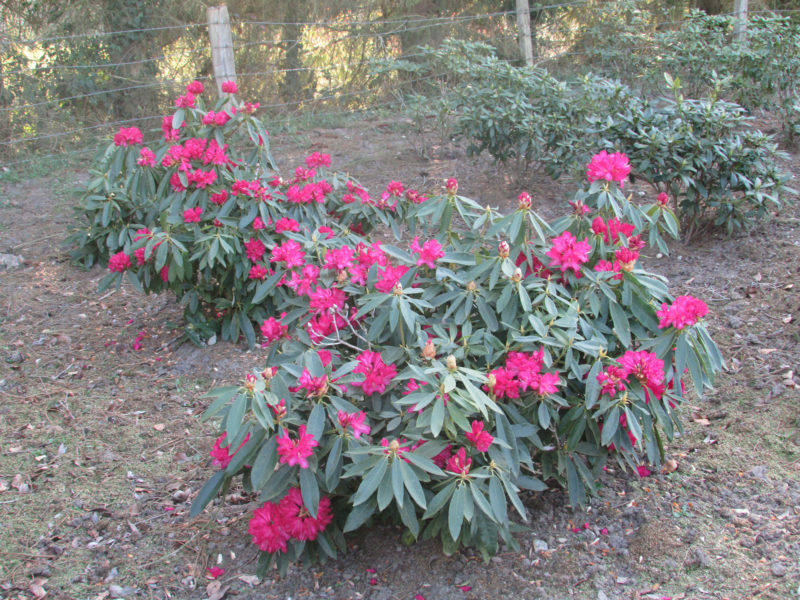 Deciduous or evergreen, shrubs create the primary structure of your garden. 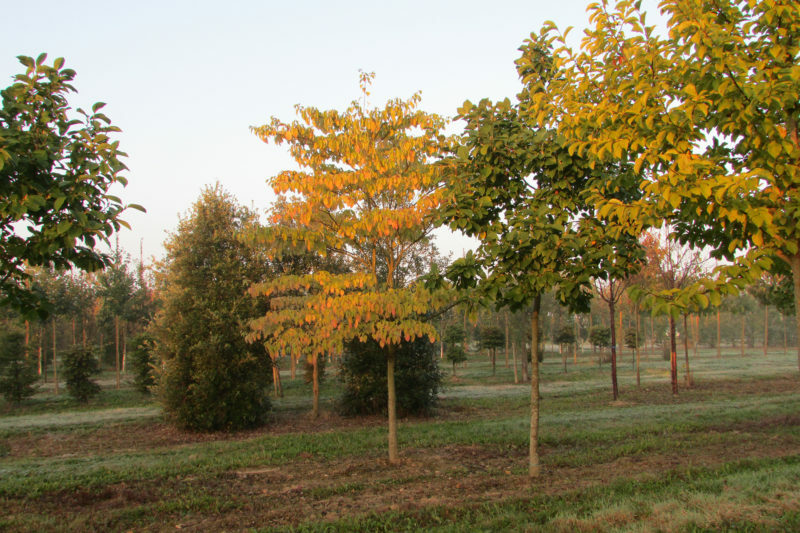 Soaring above us, linking the sky to the ground, trees are key features in our streets, parks and gardens. 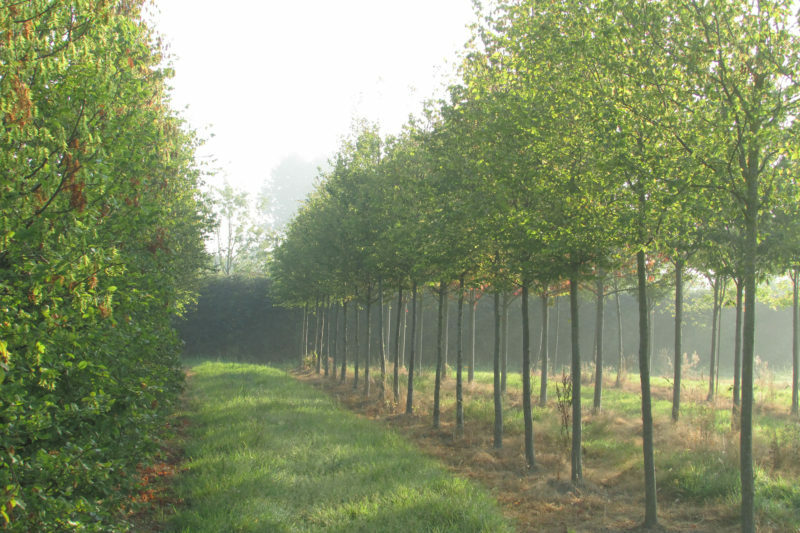 Standard trees can create the focus of a square or create an avenue to echo a stone facade. 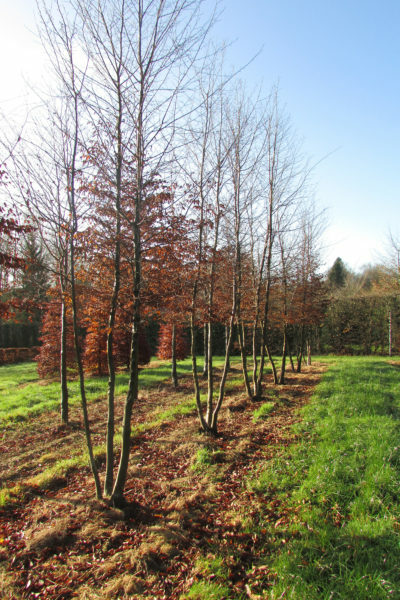 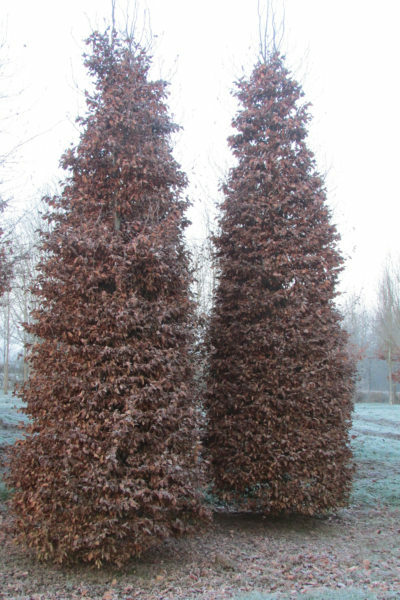 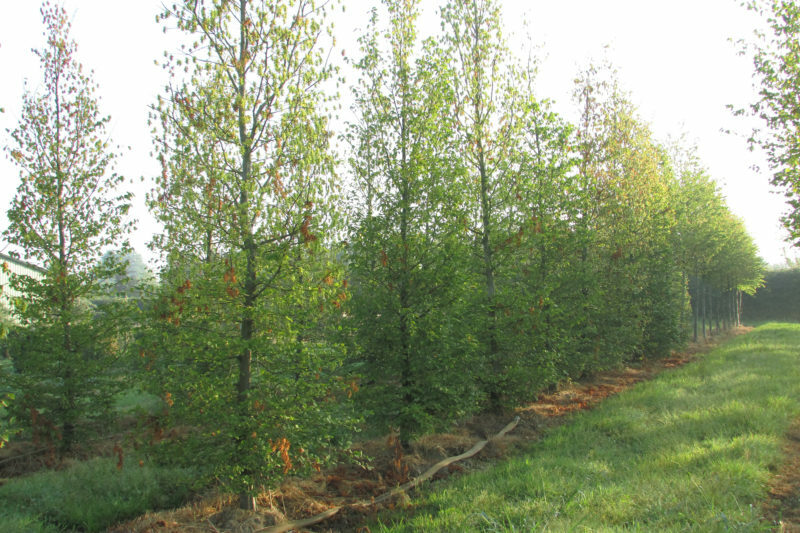 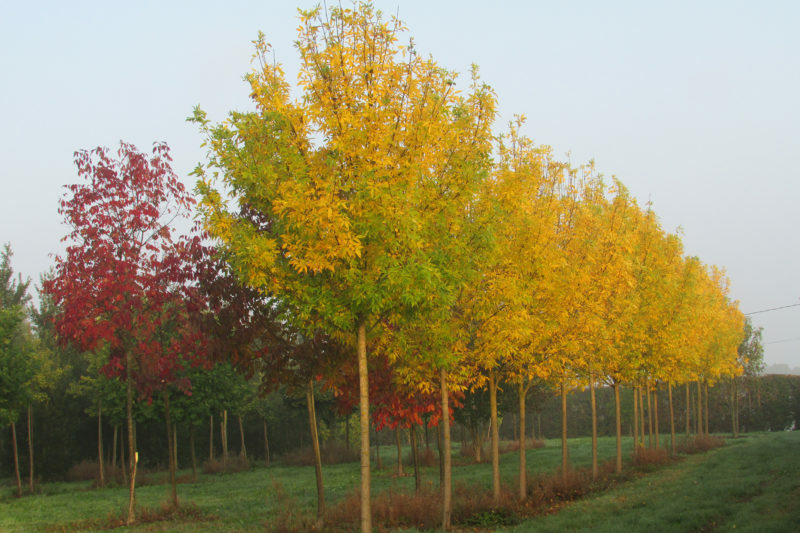 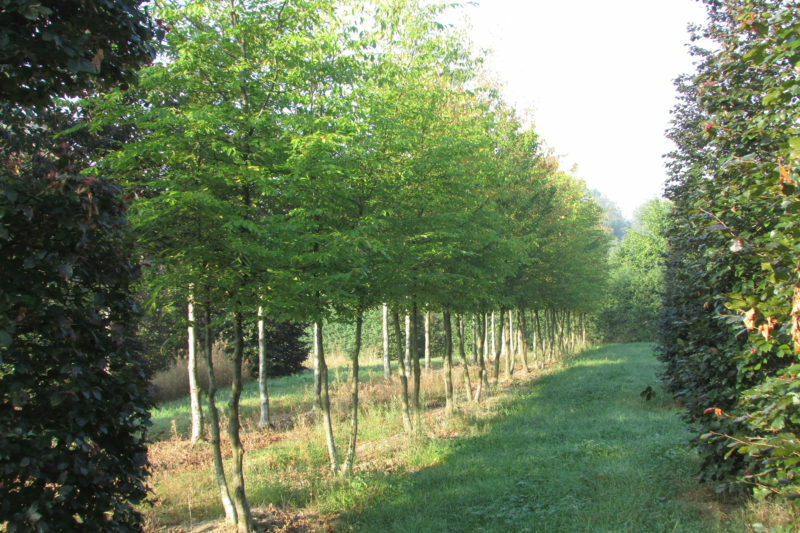 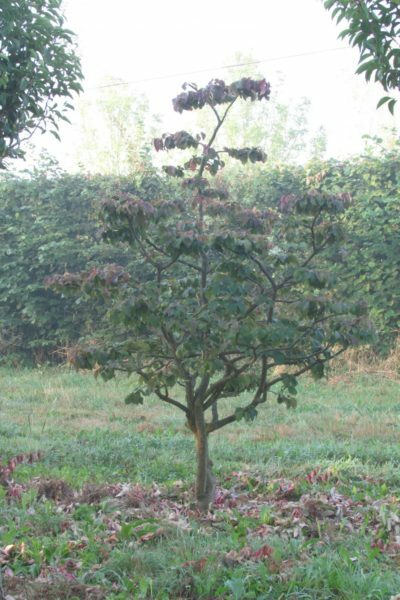 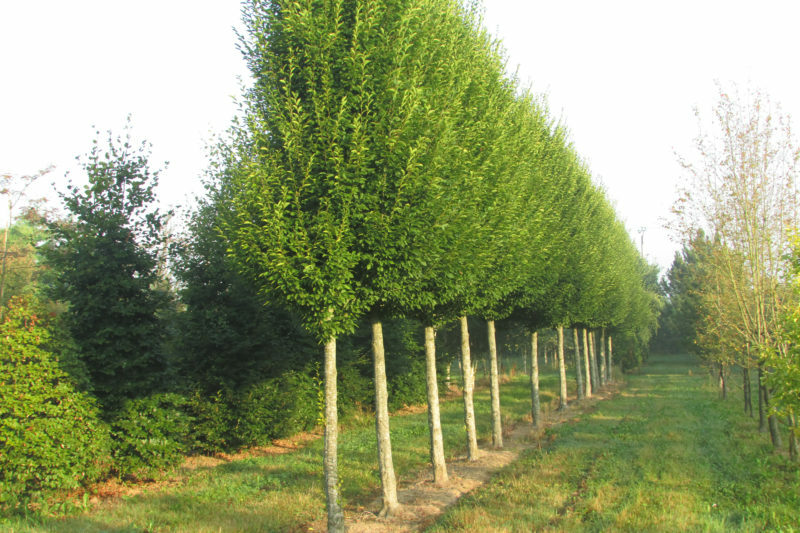 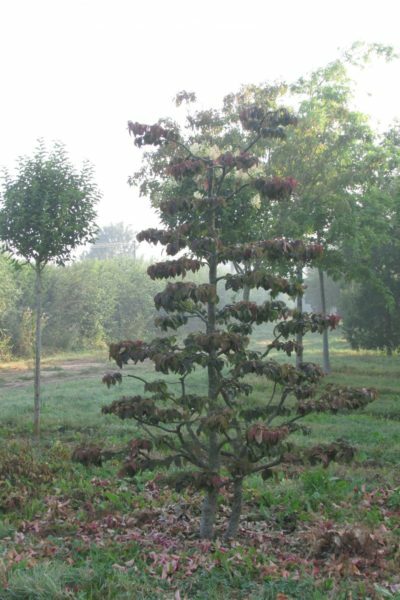 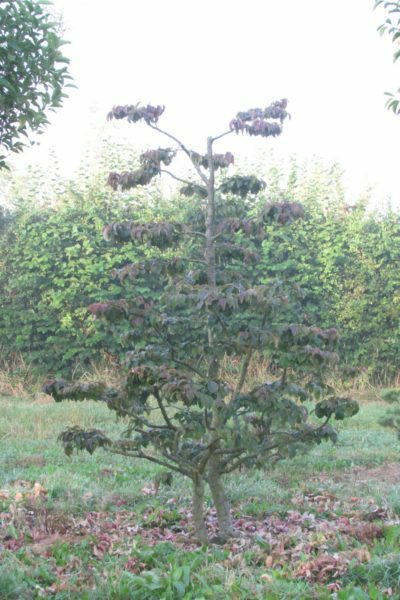 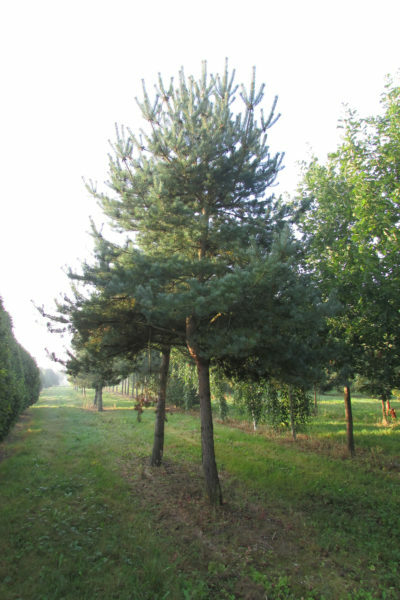 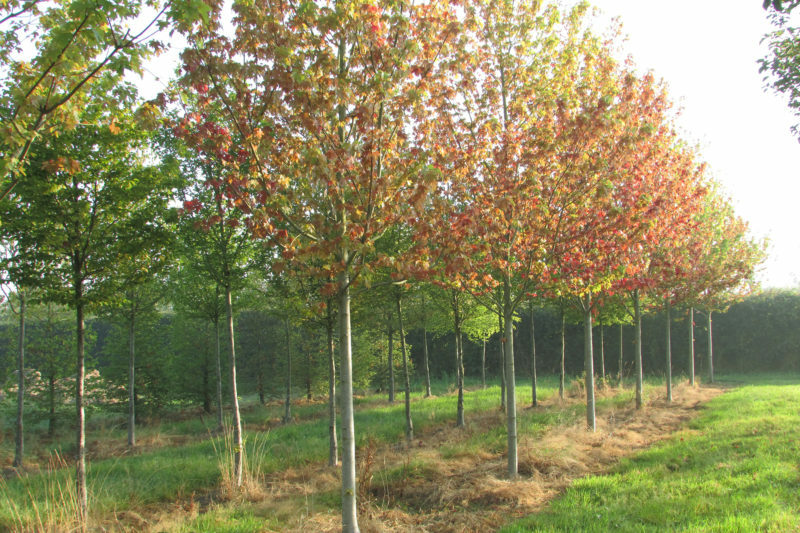 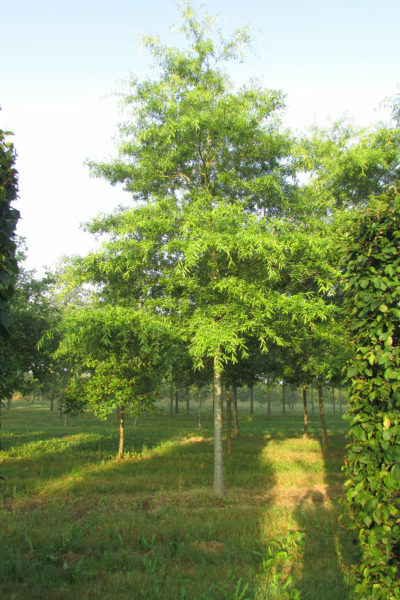 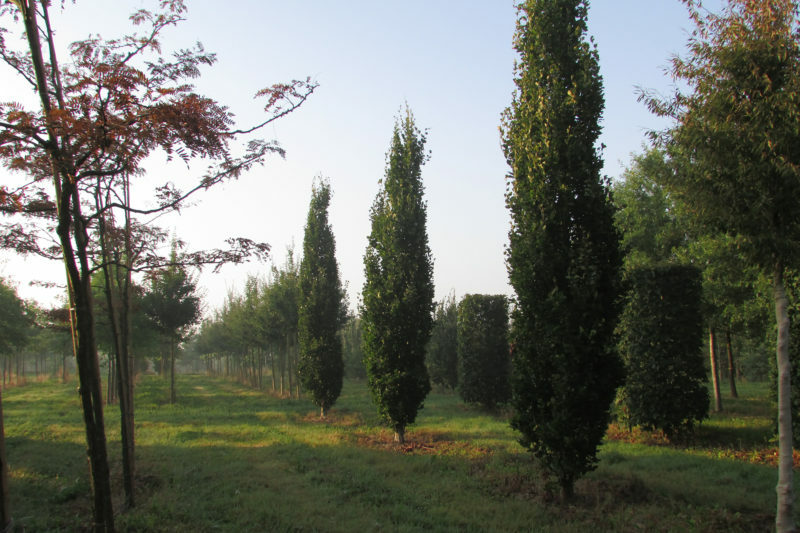 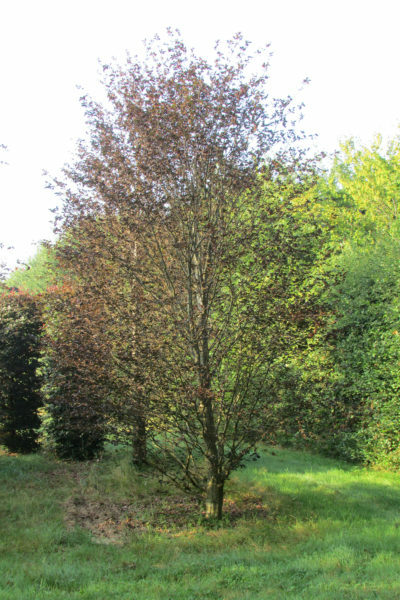 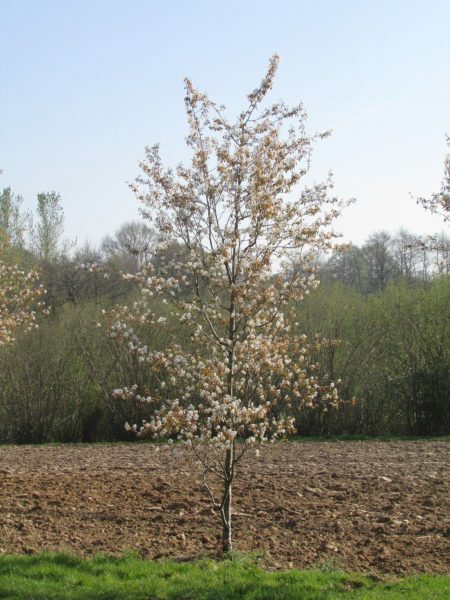 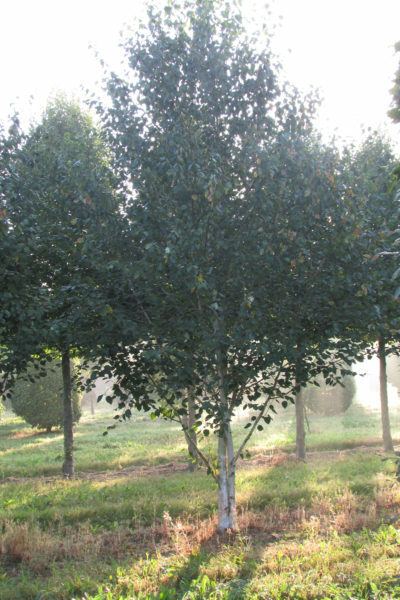 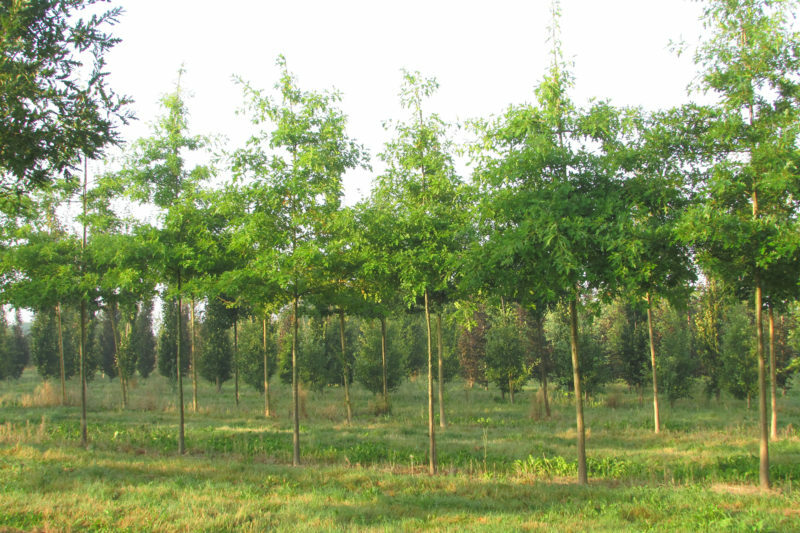 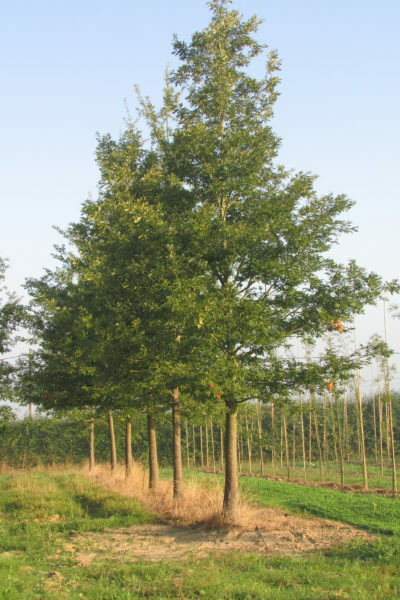 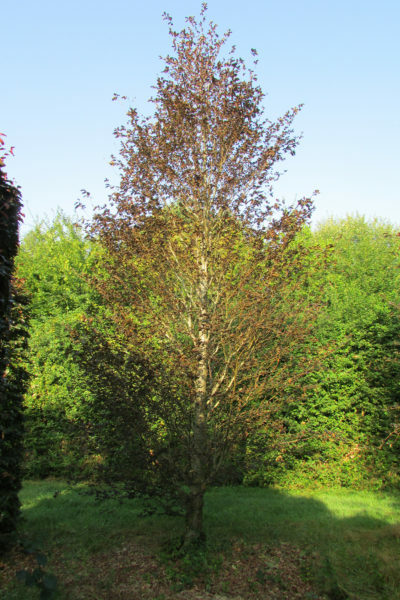 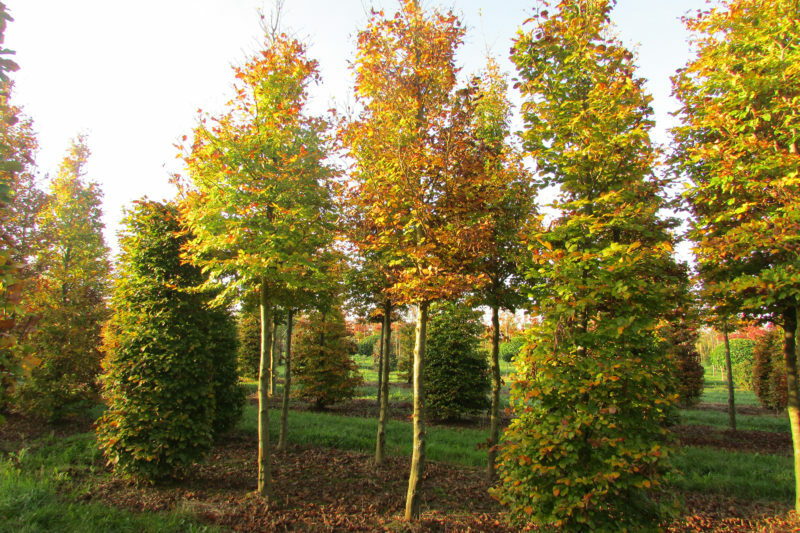 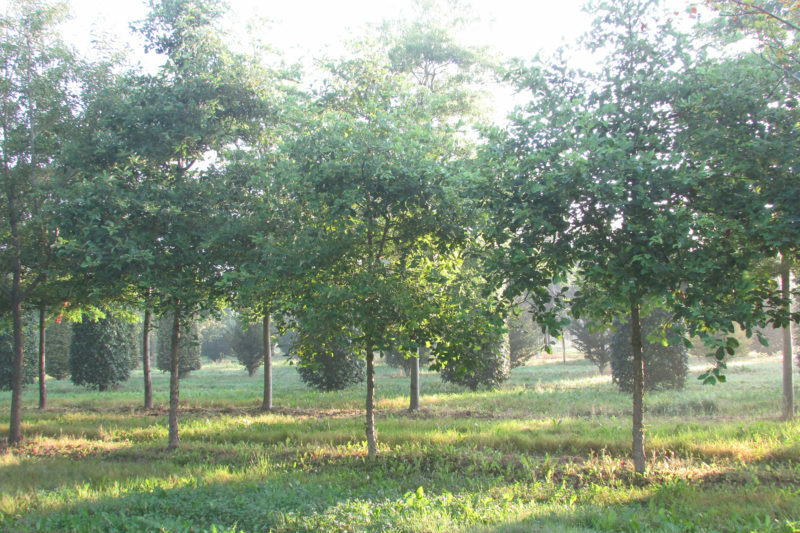 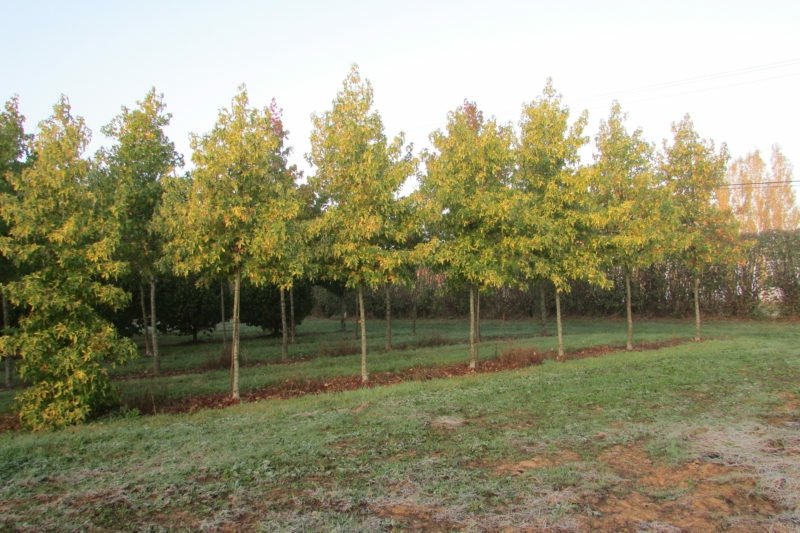 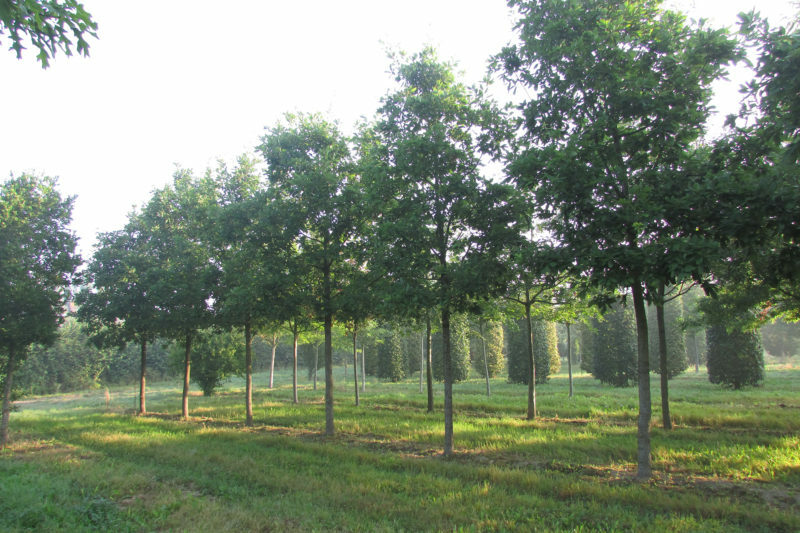 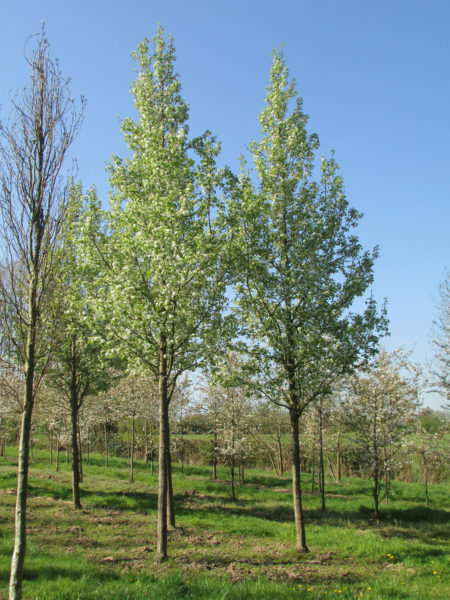 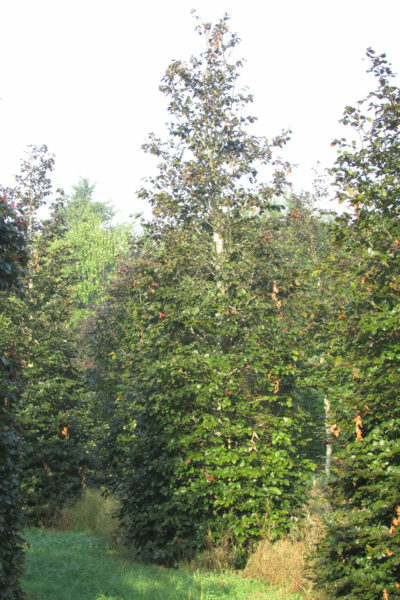 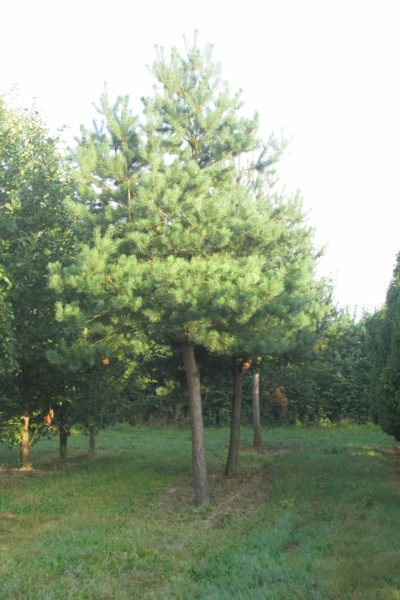 The fuller shapes of multi-stem trees can provide a lower strata or understorey. 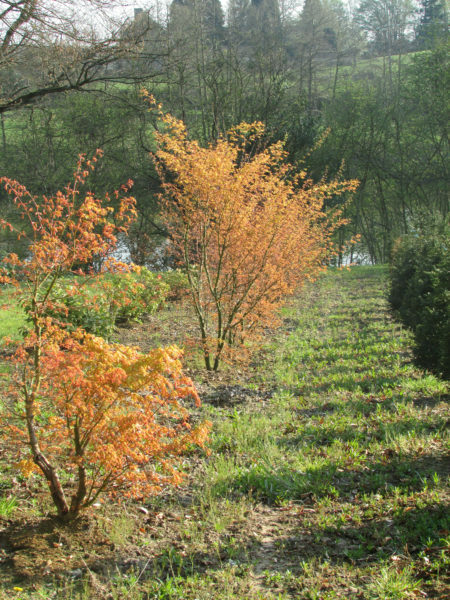 Niwaki cloud-pruned trees create a micro-landscape within the garden with a subtle evocation of Asia ; their clean lines symbolising the zen garden.